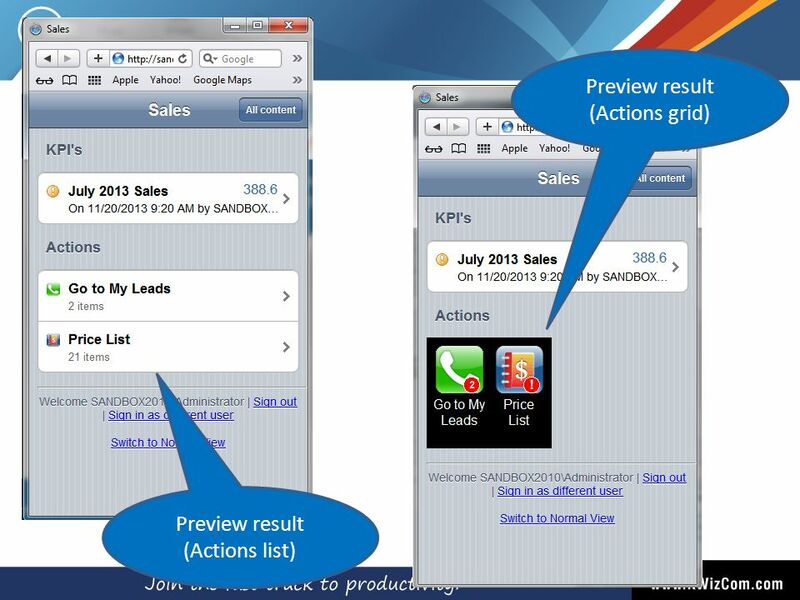 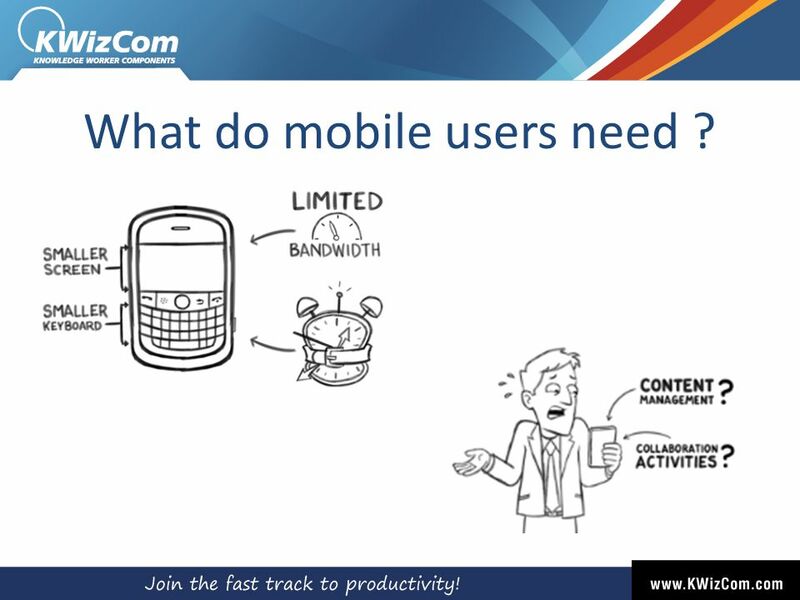 4 What do mobile users need ? 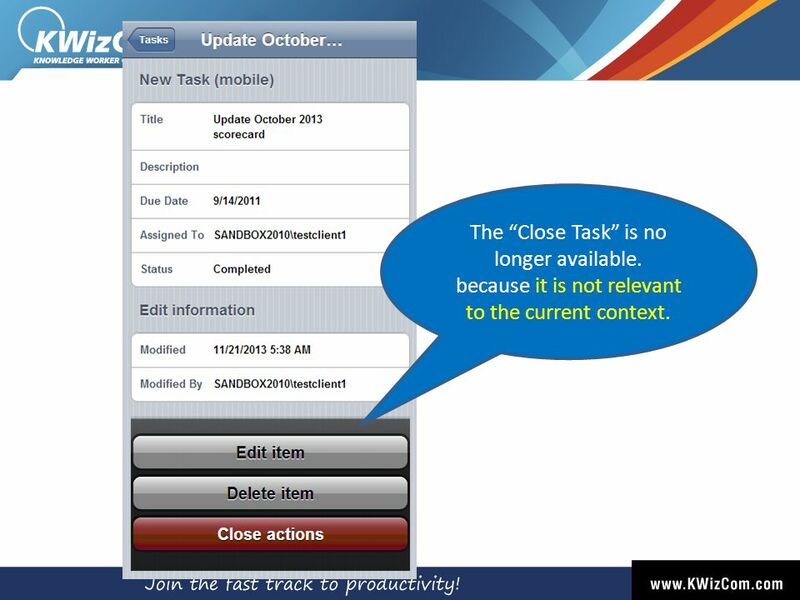 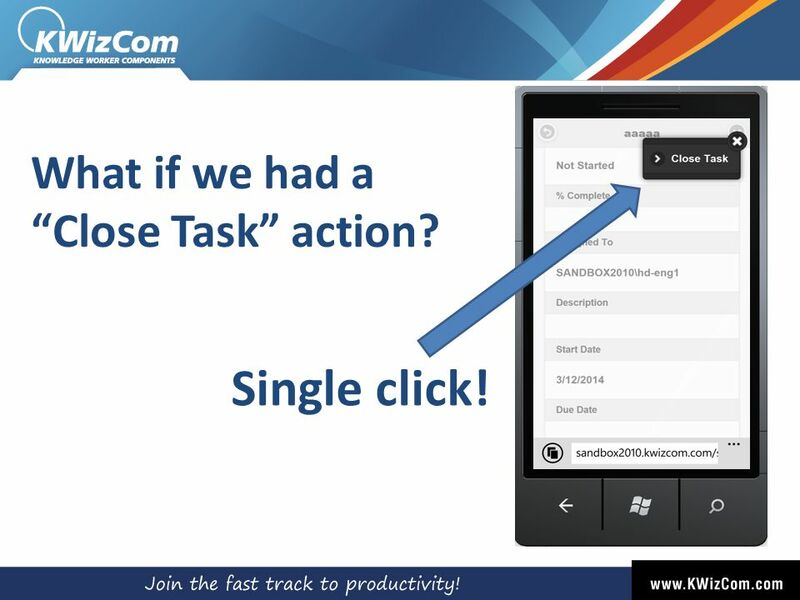 14 What if we had a “Close Task” action? 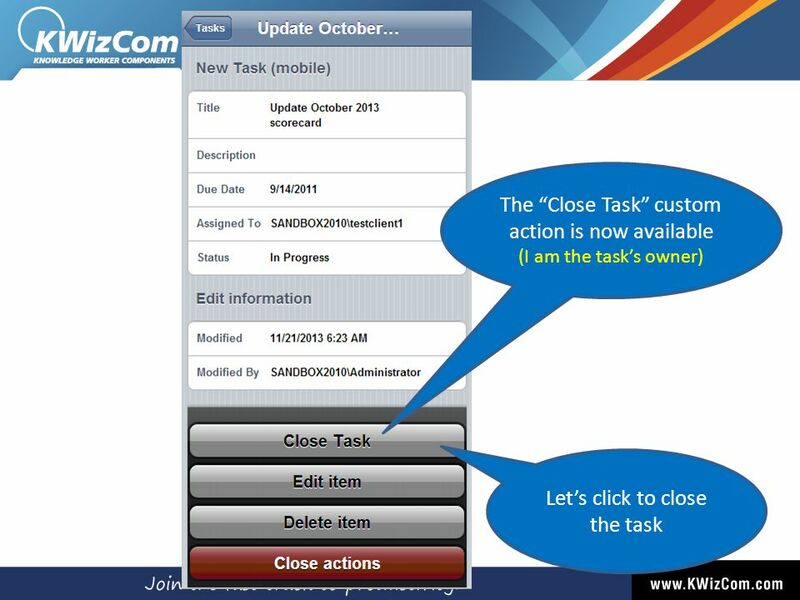 Single click! 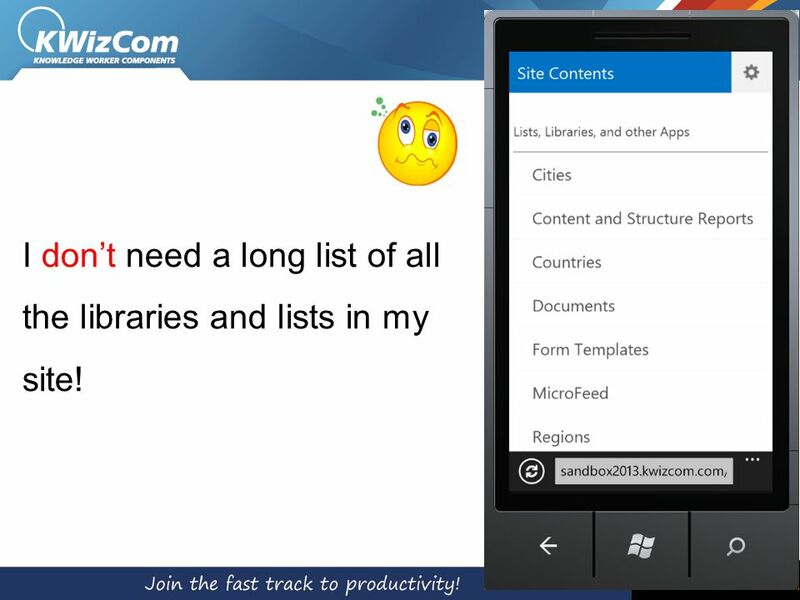 17 I don’t need a long list of all the libraries and lists in my site! 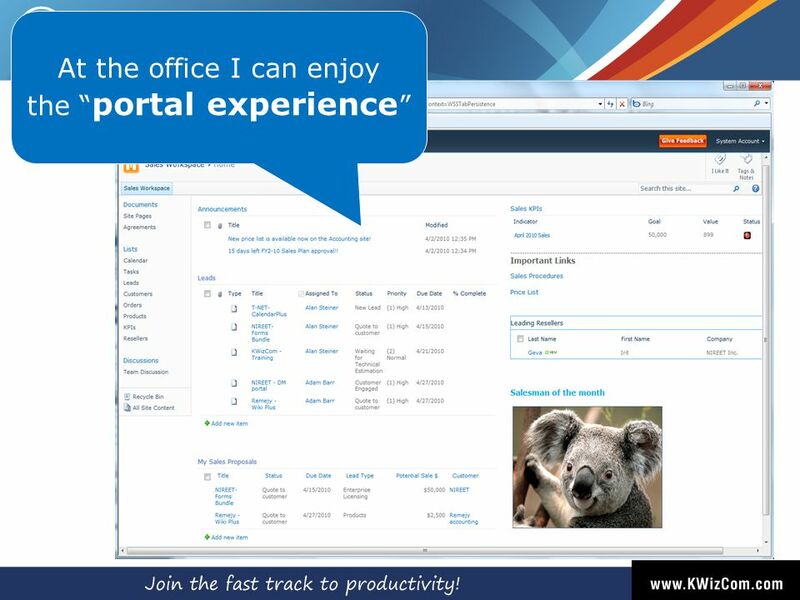 18 I do Not need a Portal while I am on the road! 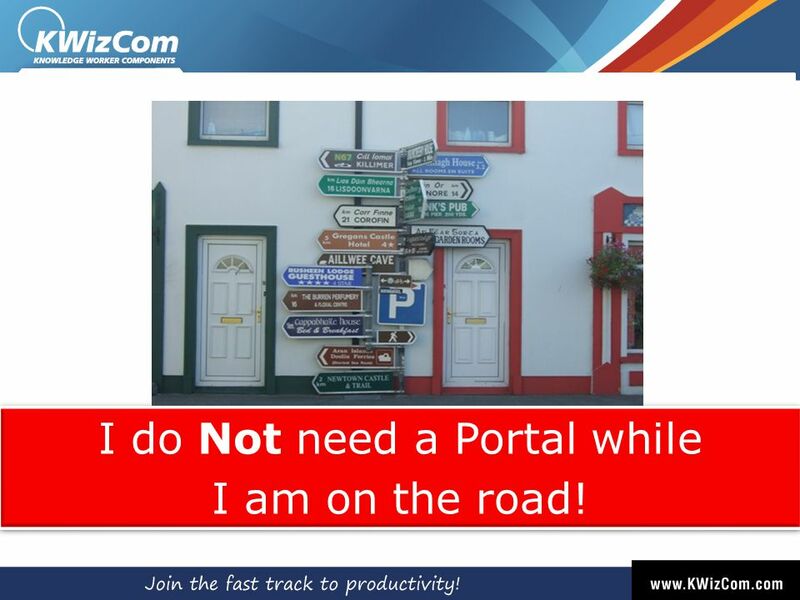 I do Not need a Portal while I am on the road! 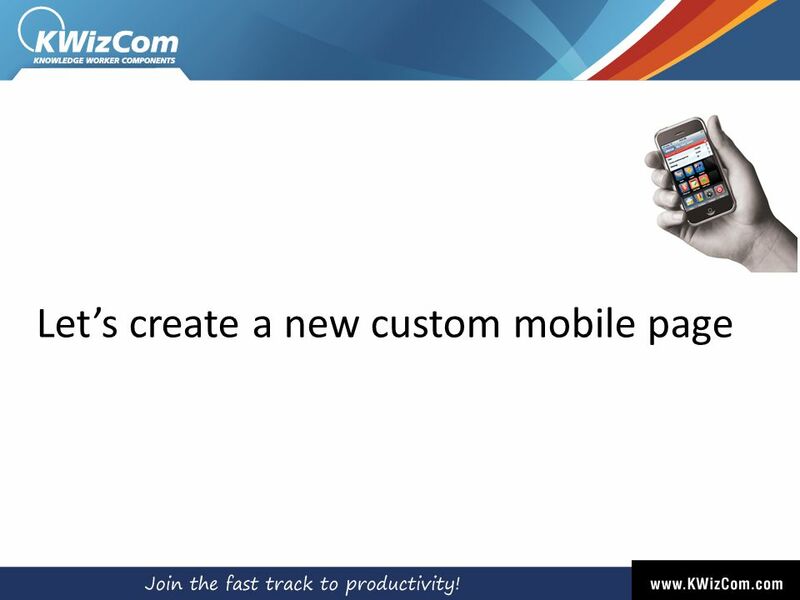 38 Page part added. 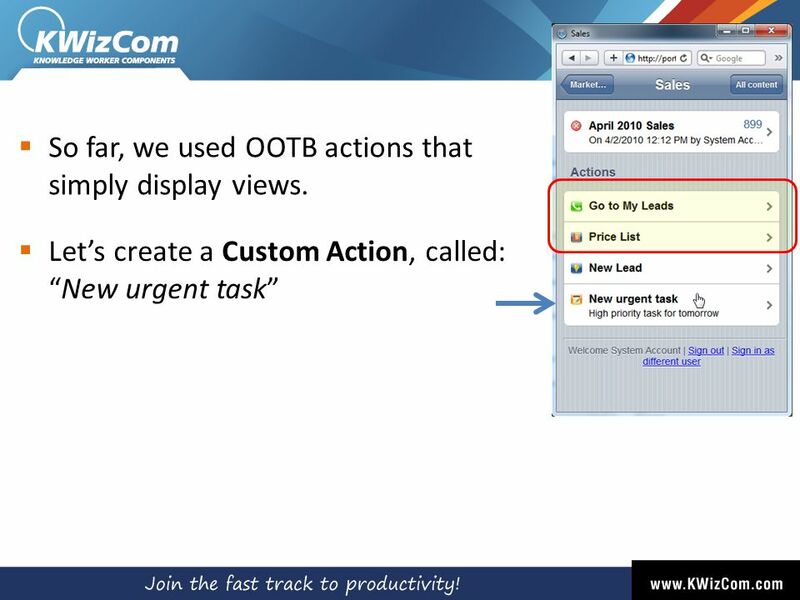 Now let’s connect it to the KPI list. 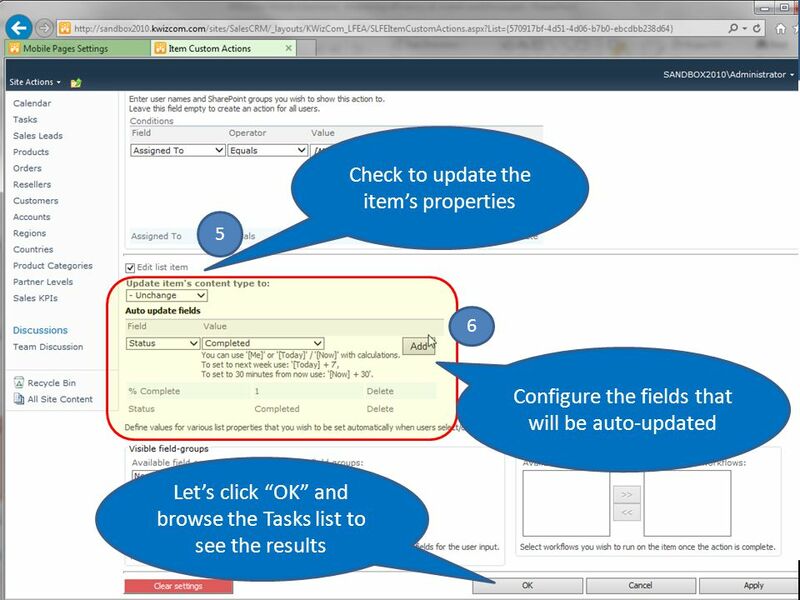 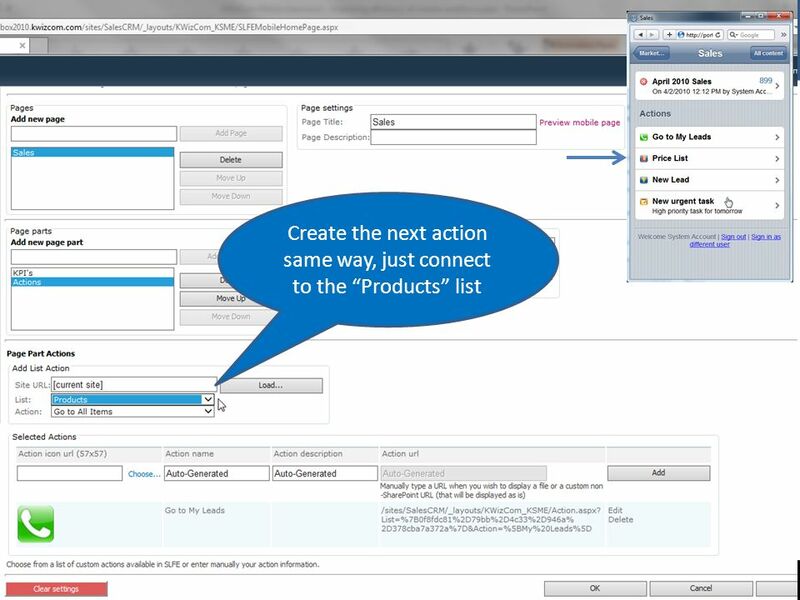 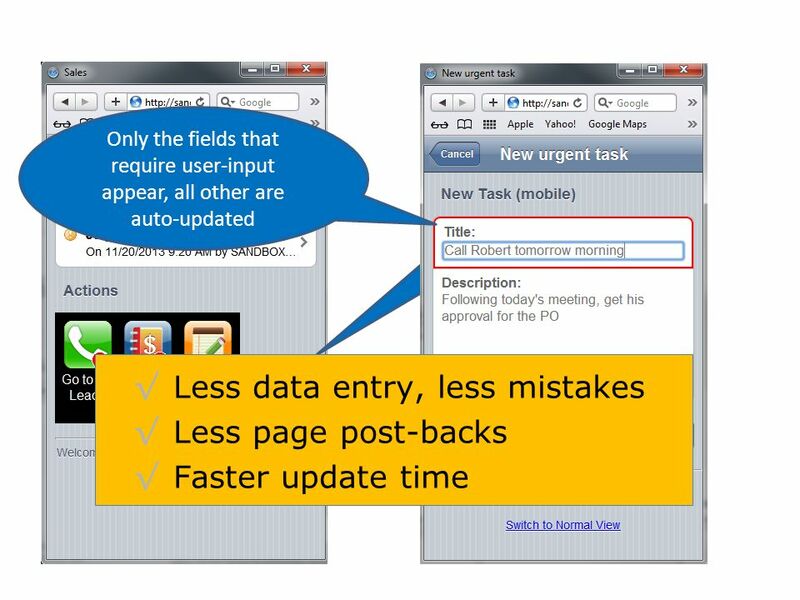 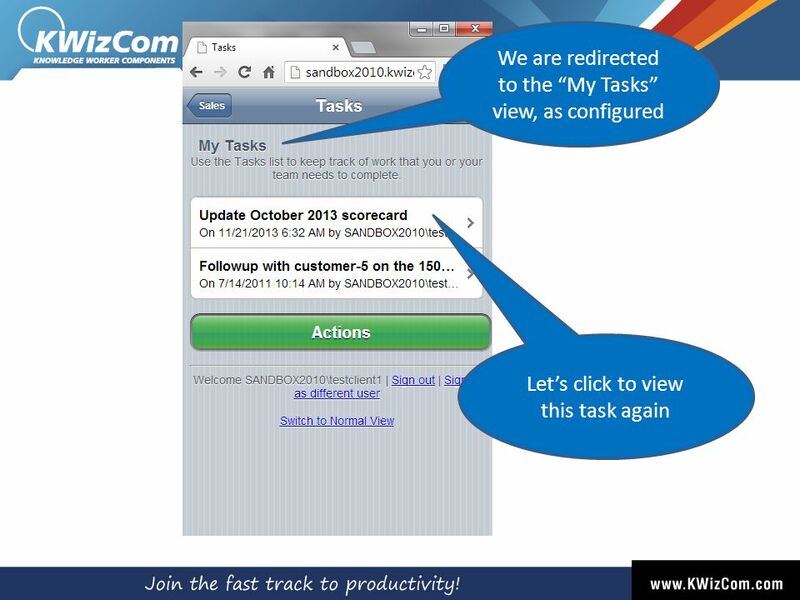 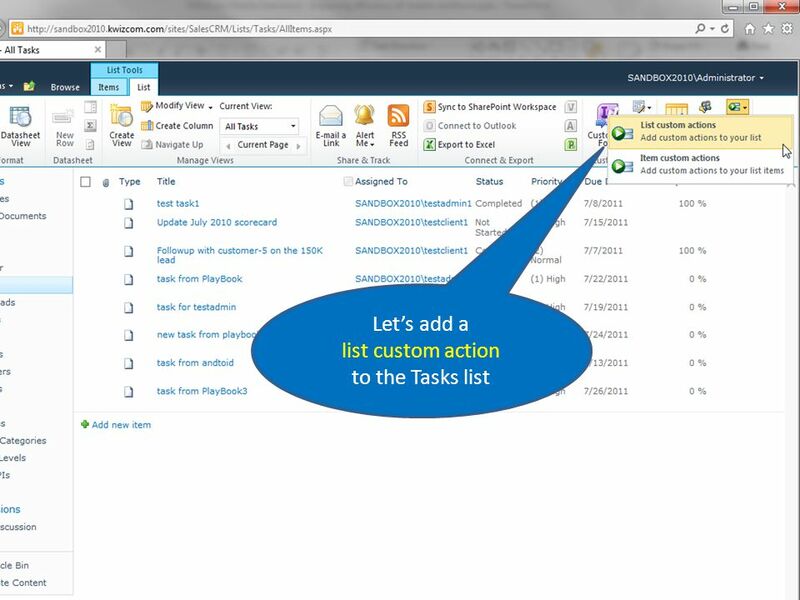 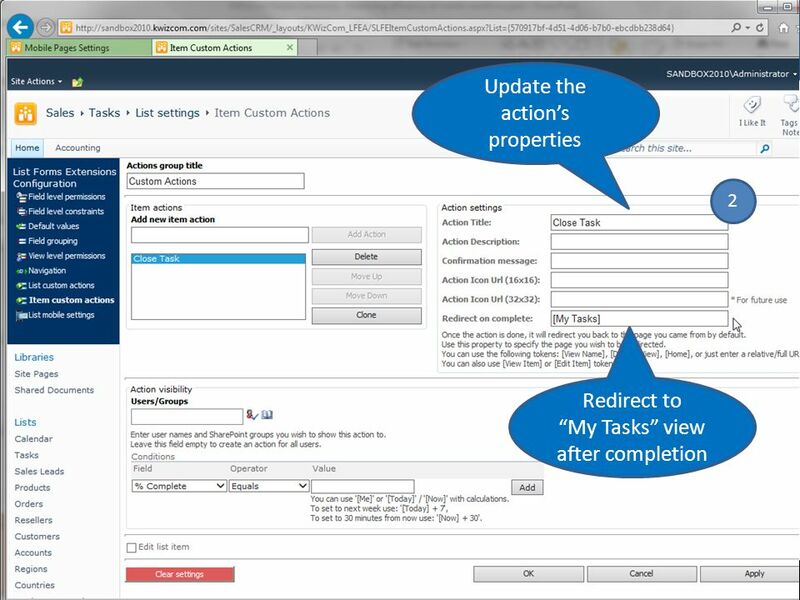 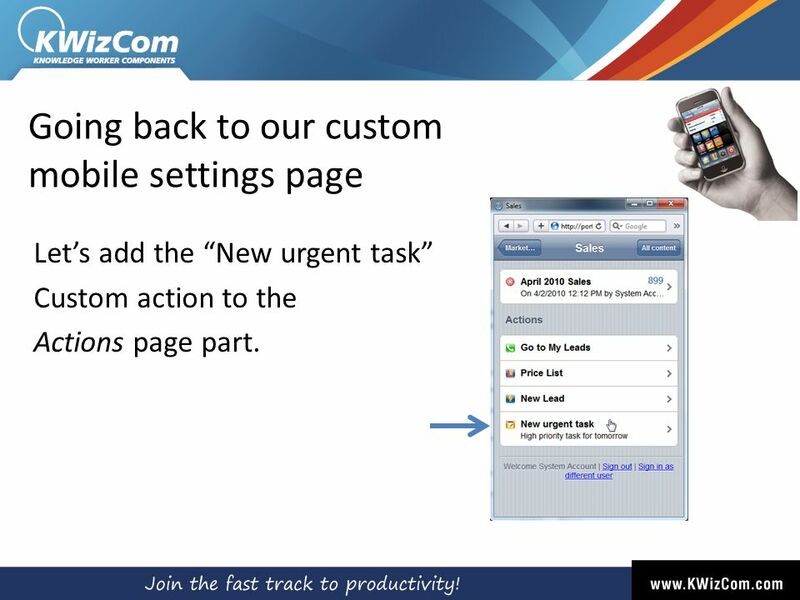 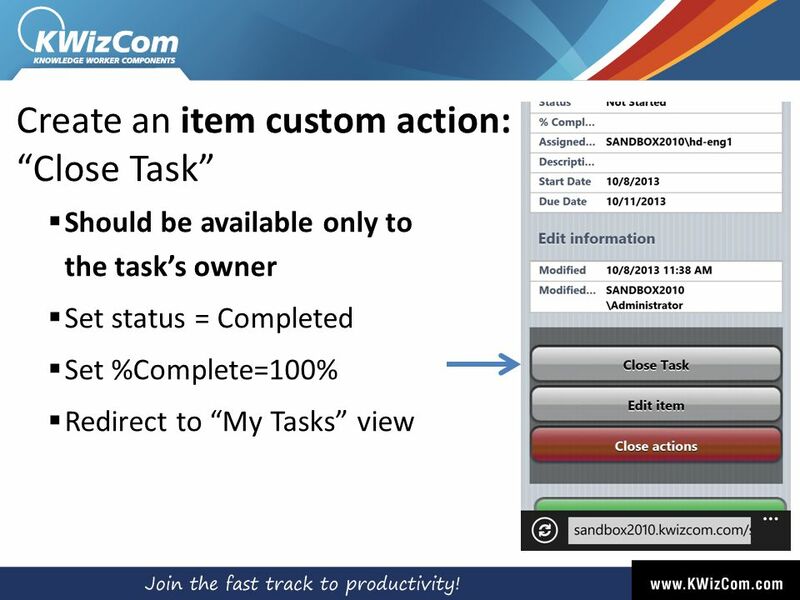 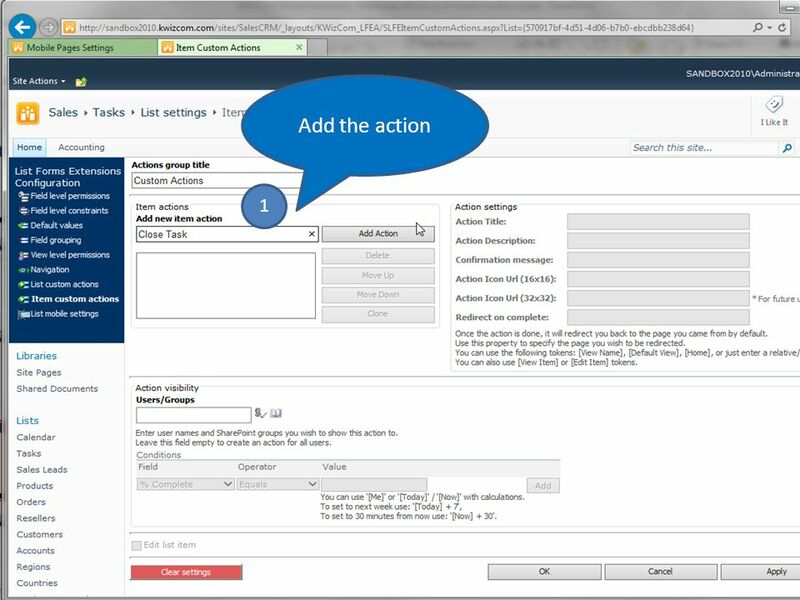 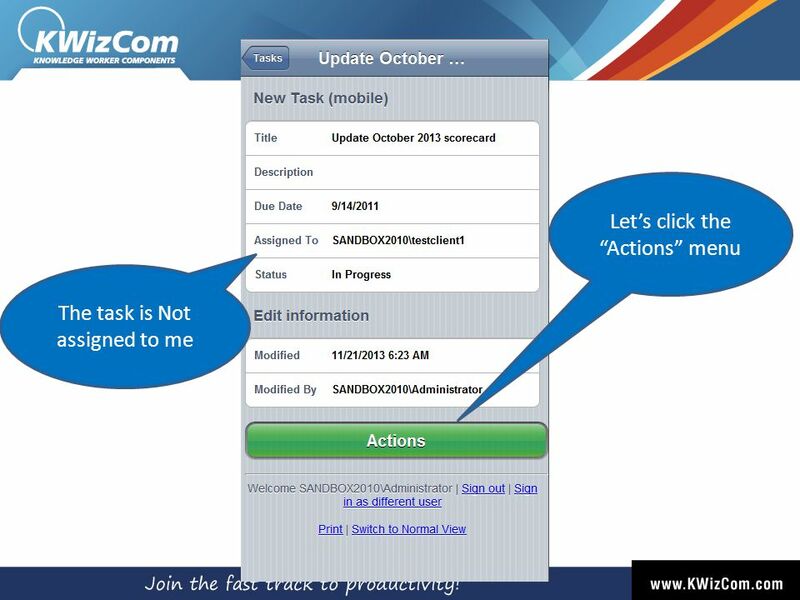 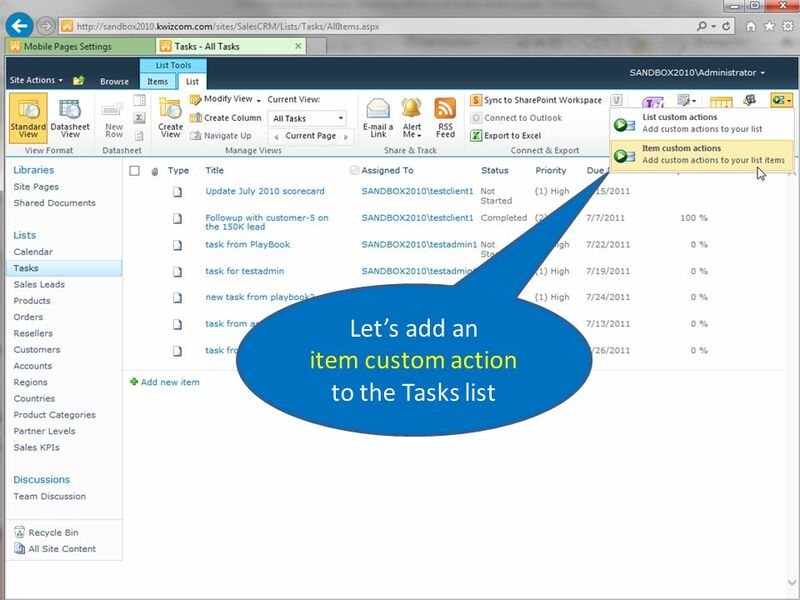 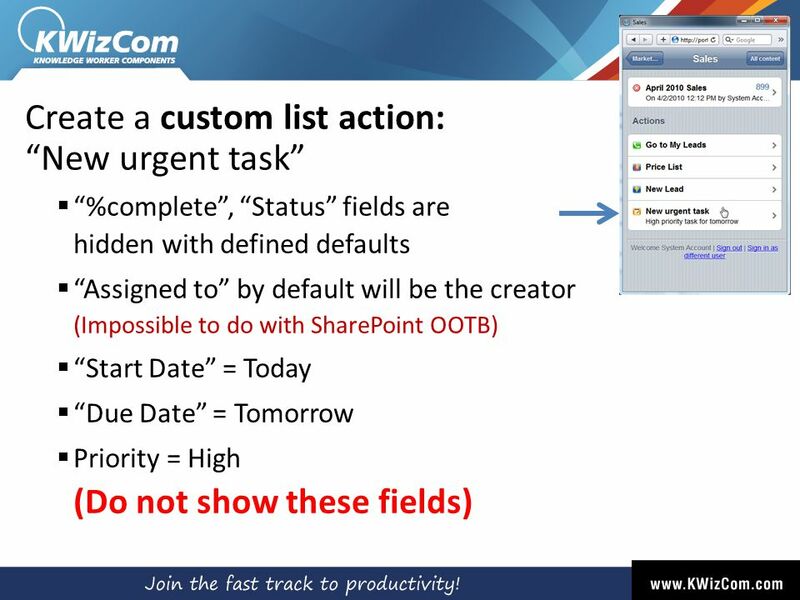 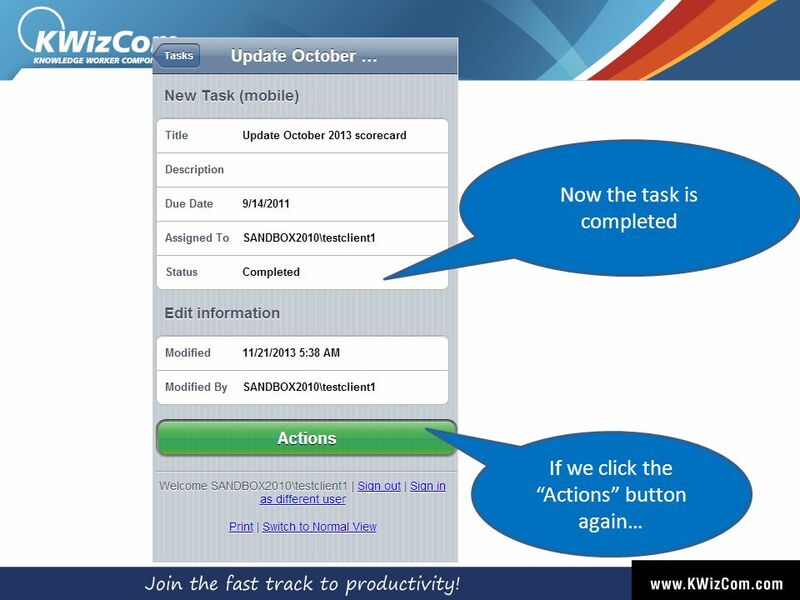 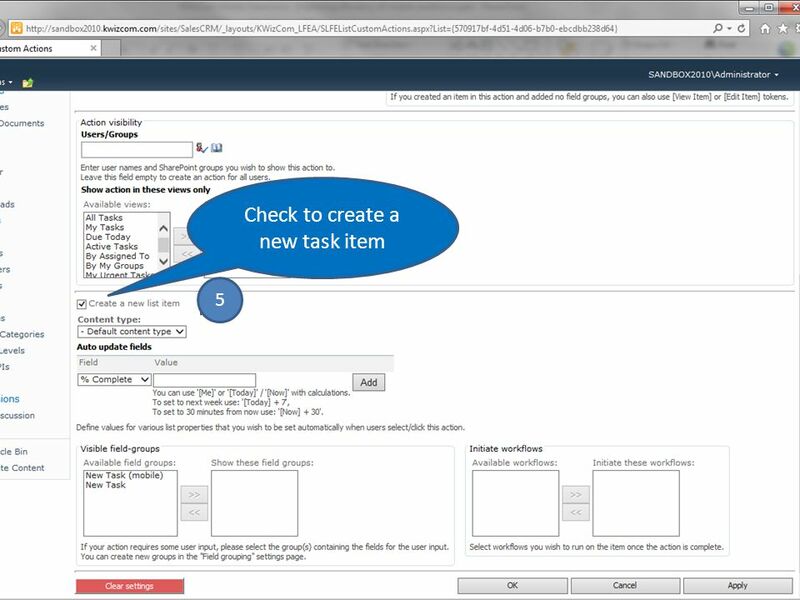 62 Going back to our custom mobile settings page Let’s add the “New urgent task” Custom action to the Actions page part. 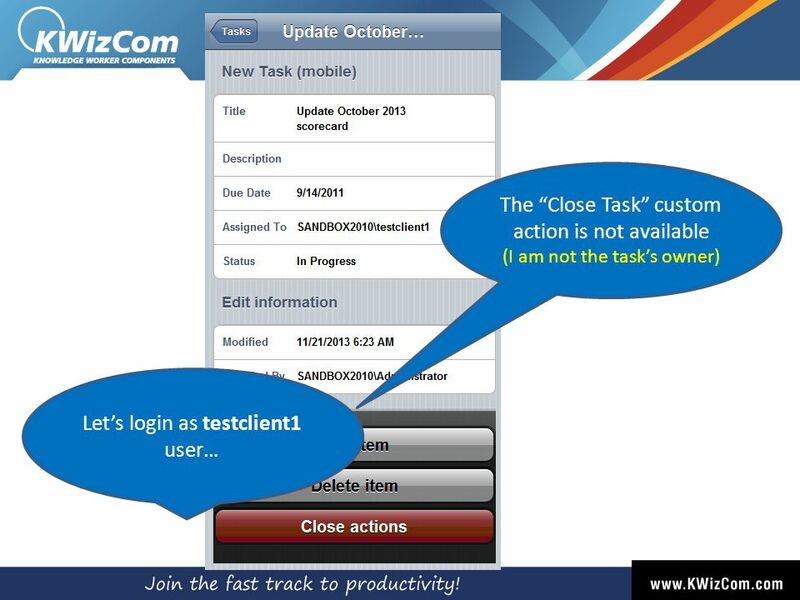 80 The “Close Task” is no longer available. 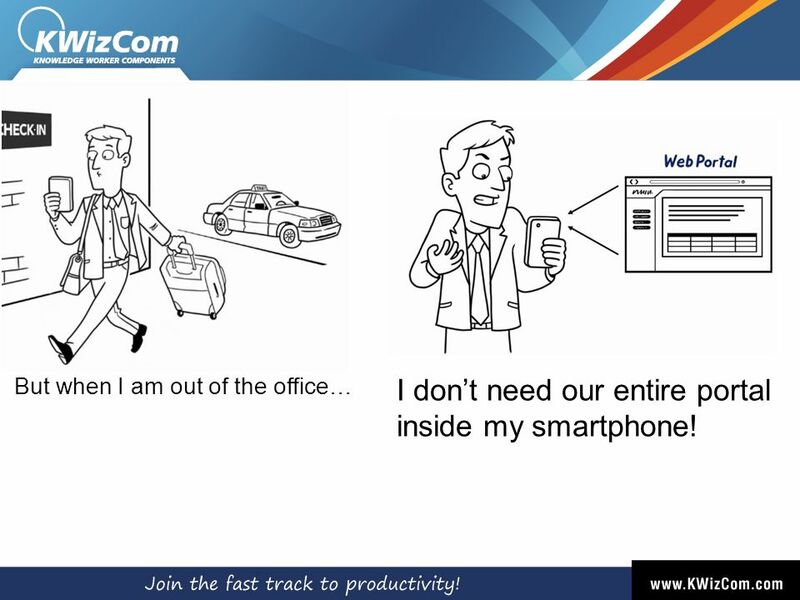 because it is not relevant to the current context. 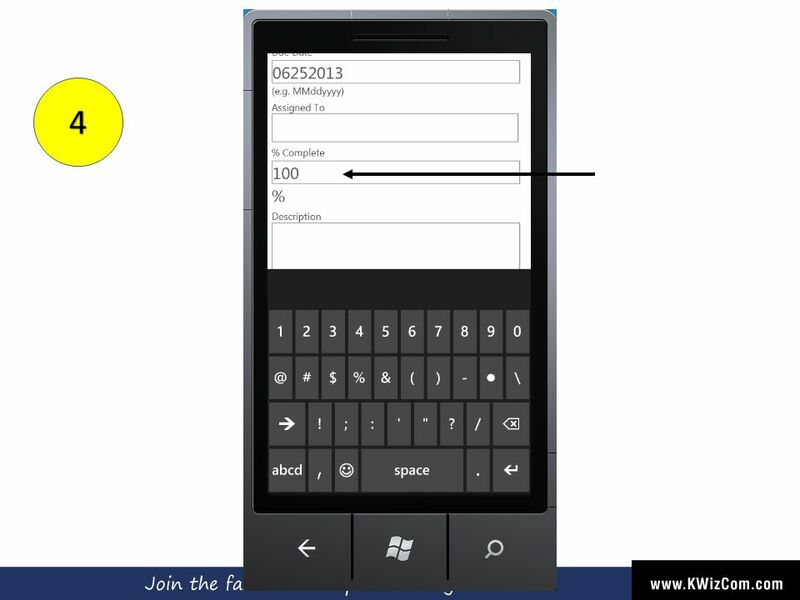 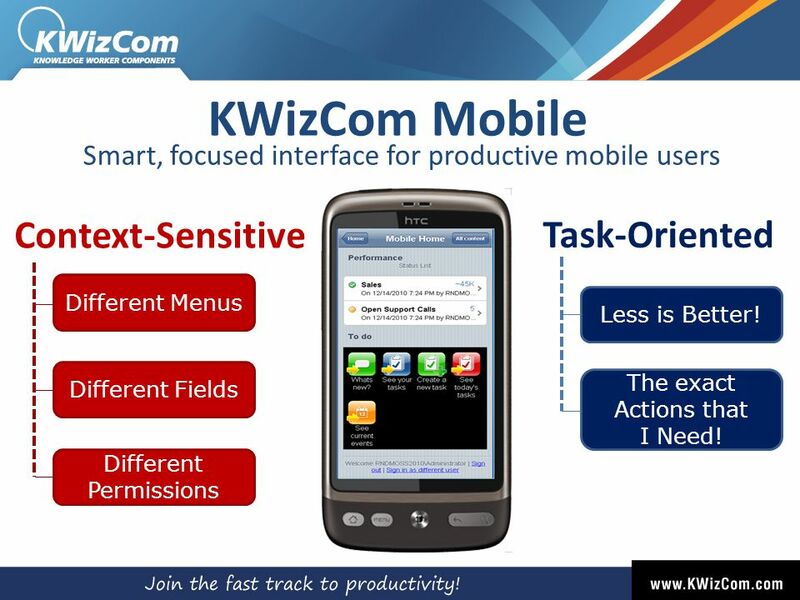 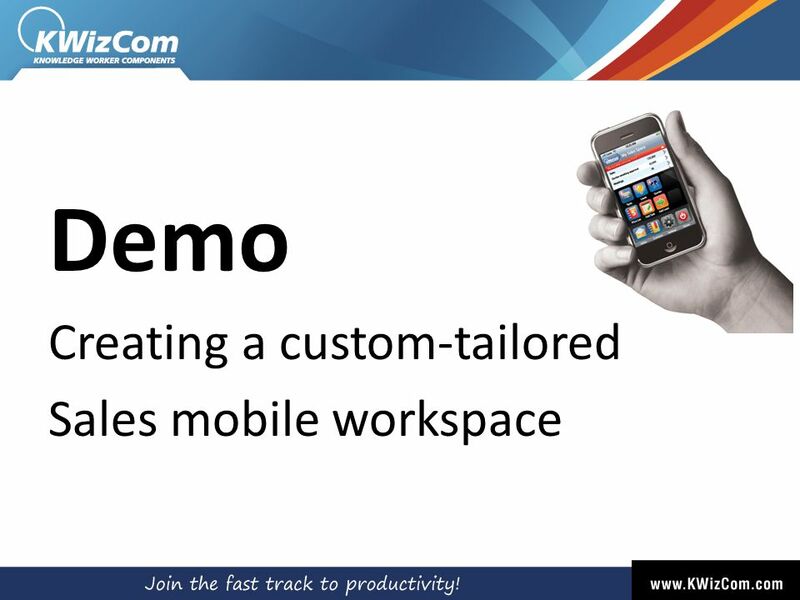 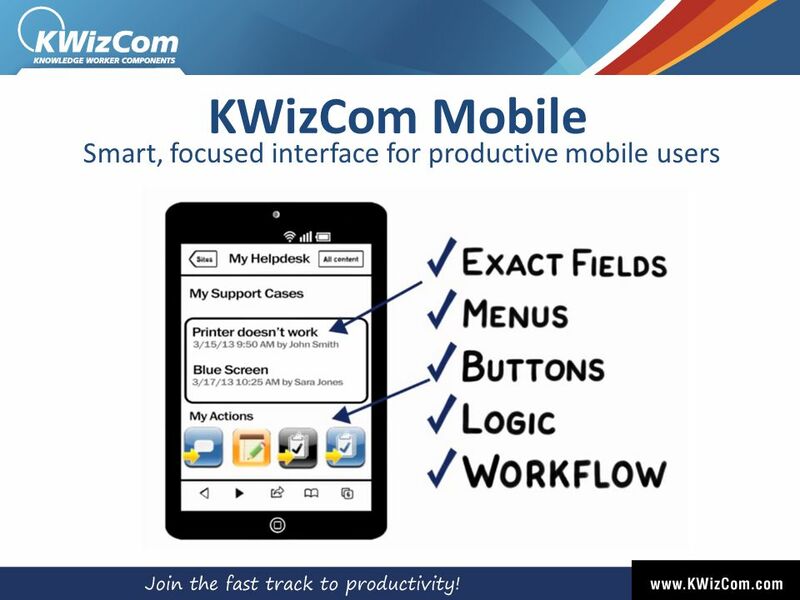 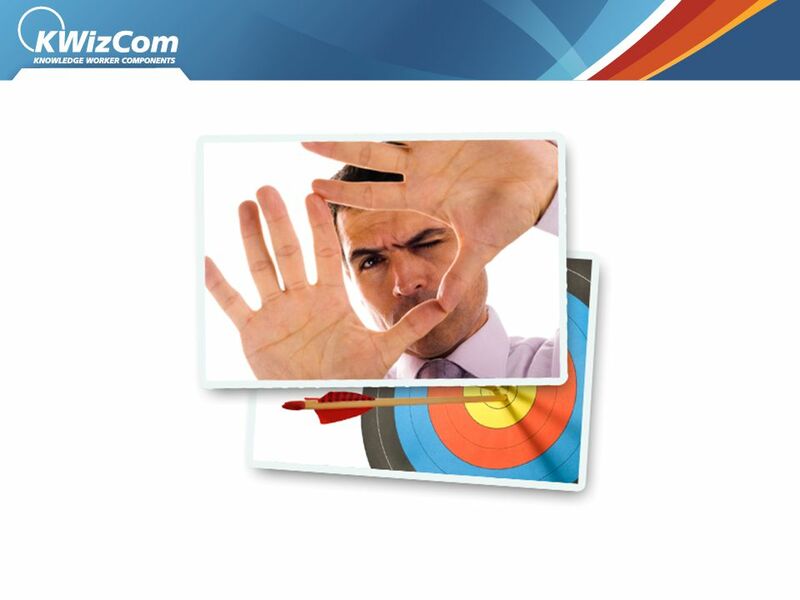 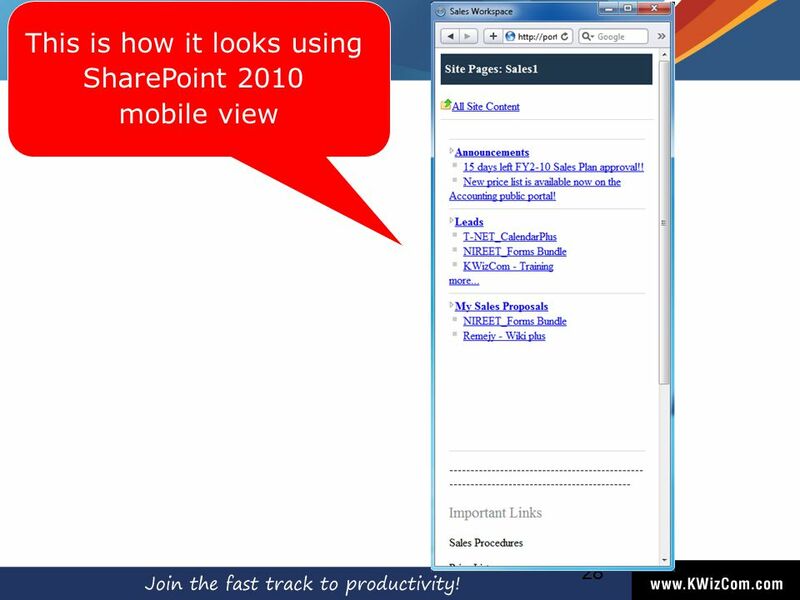 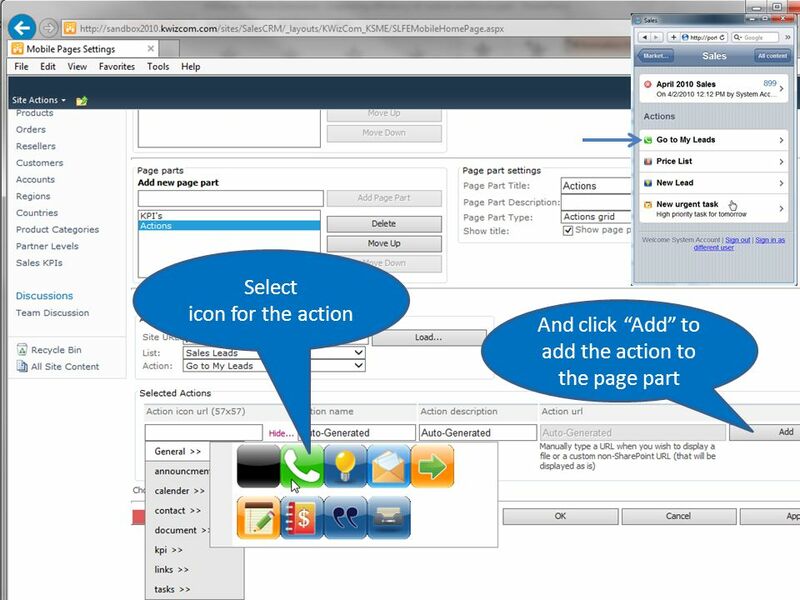 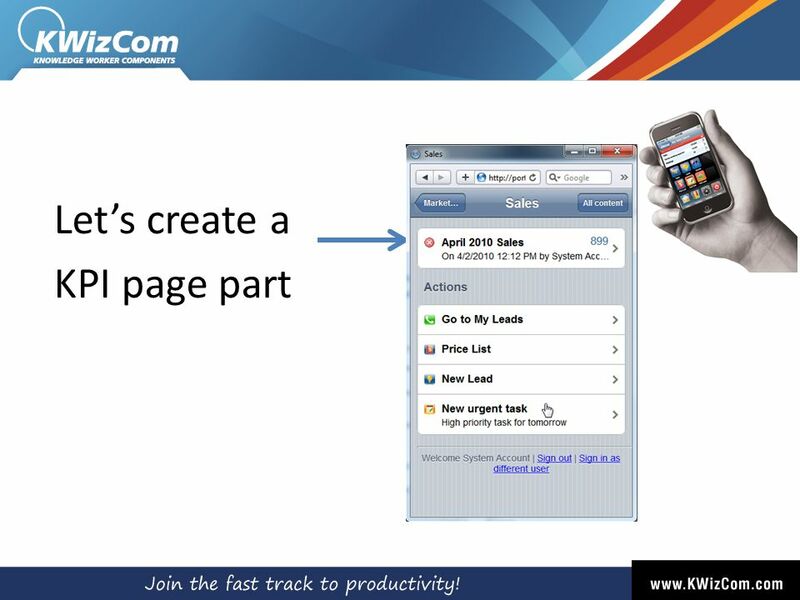 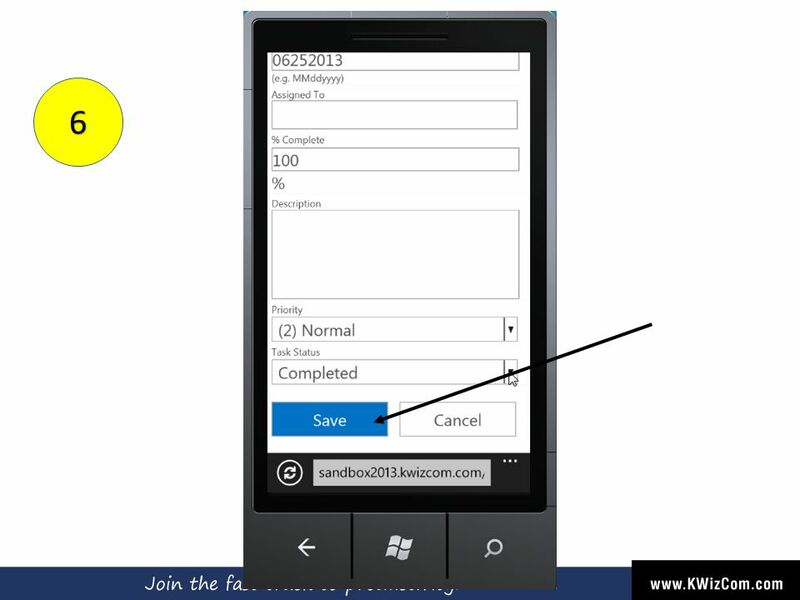 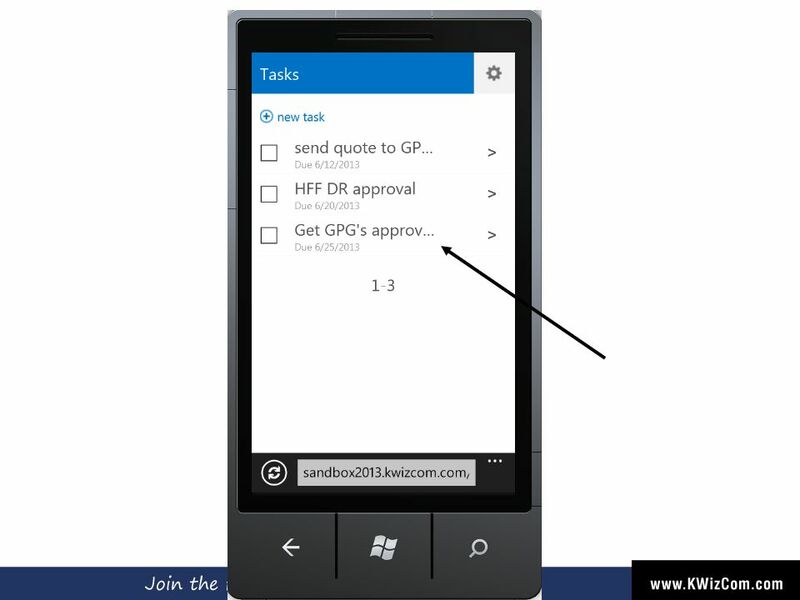 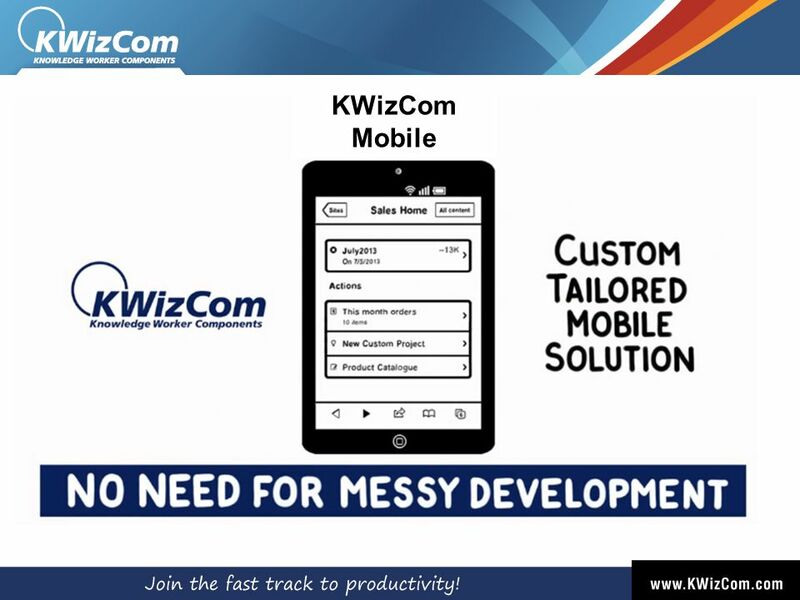 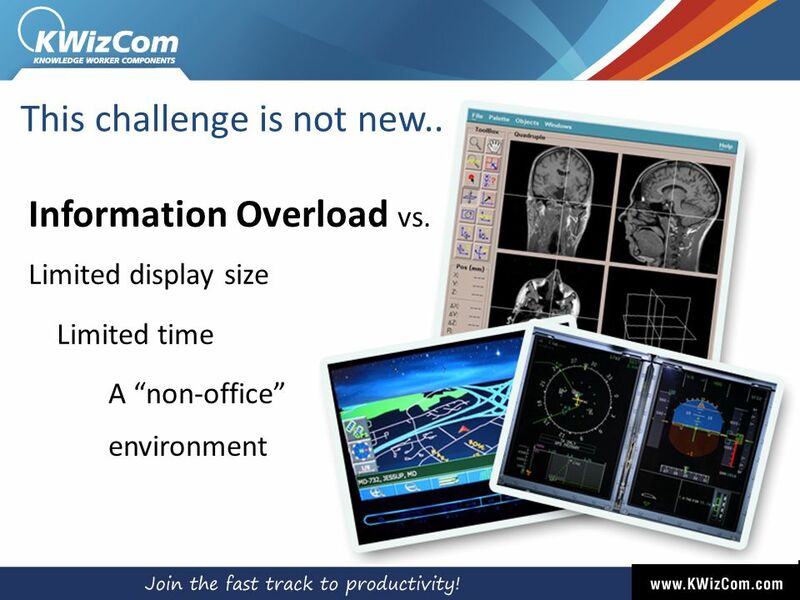 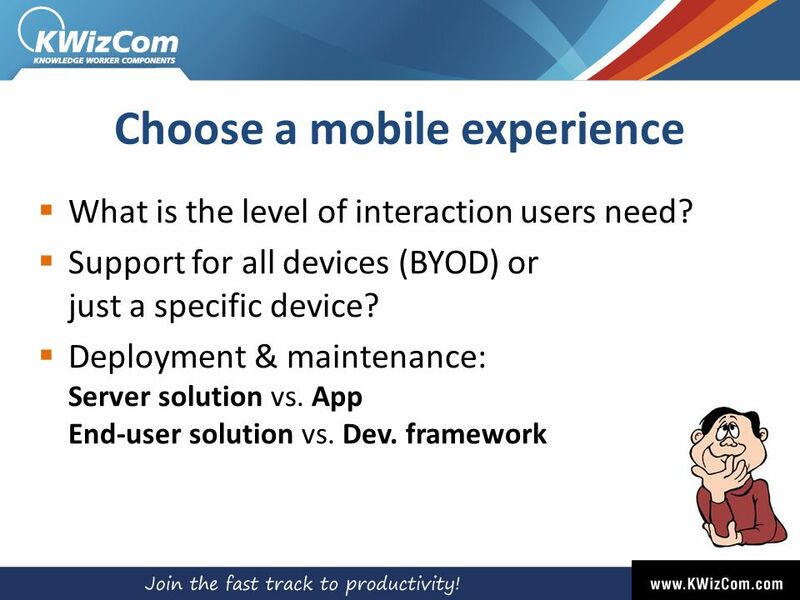 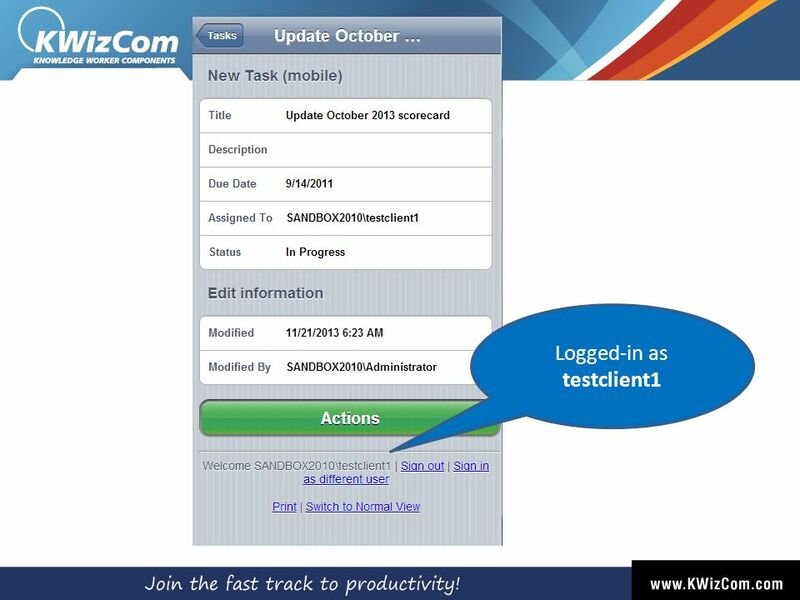 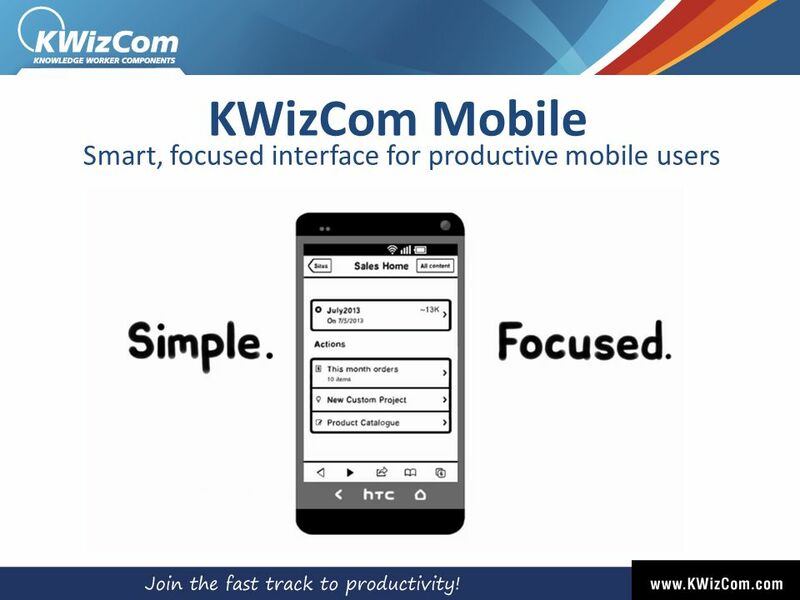 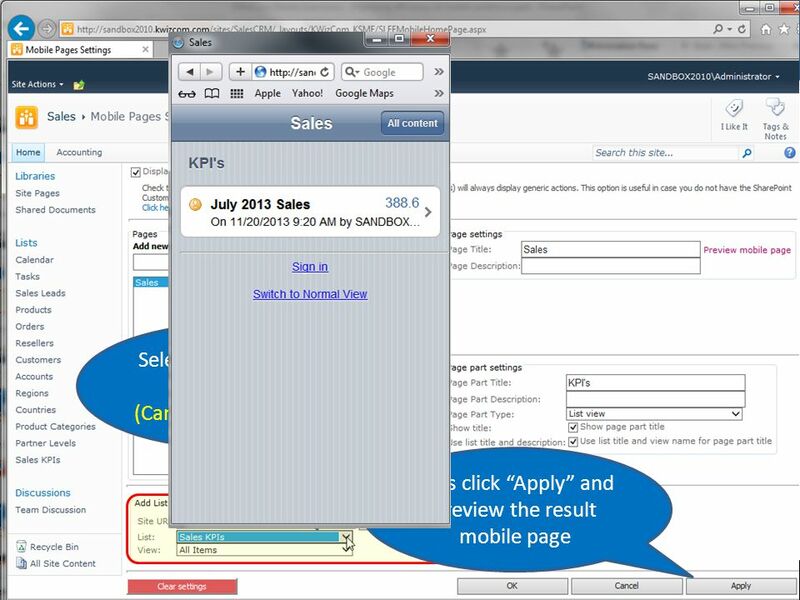 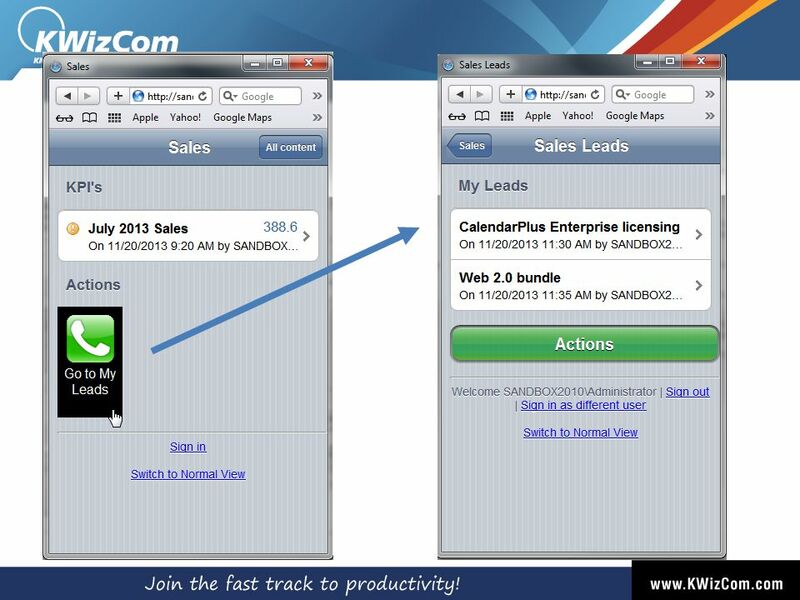 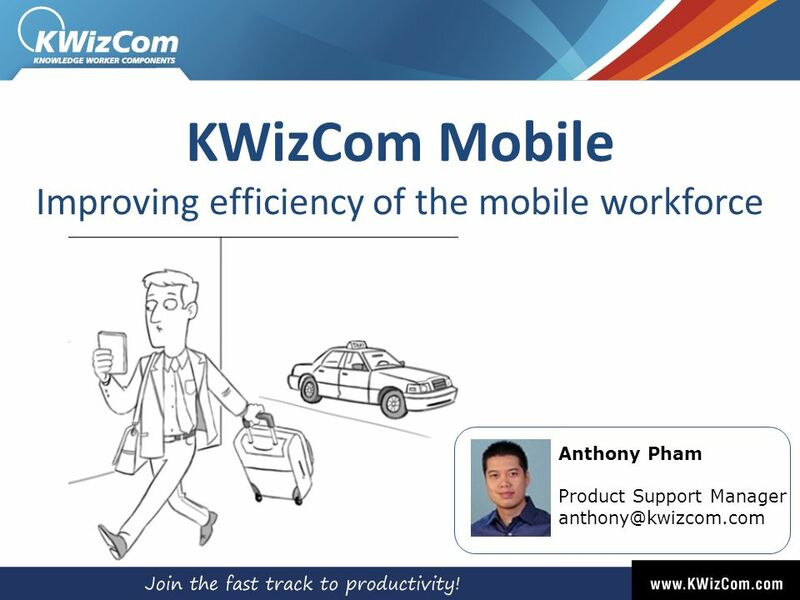 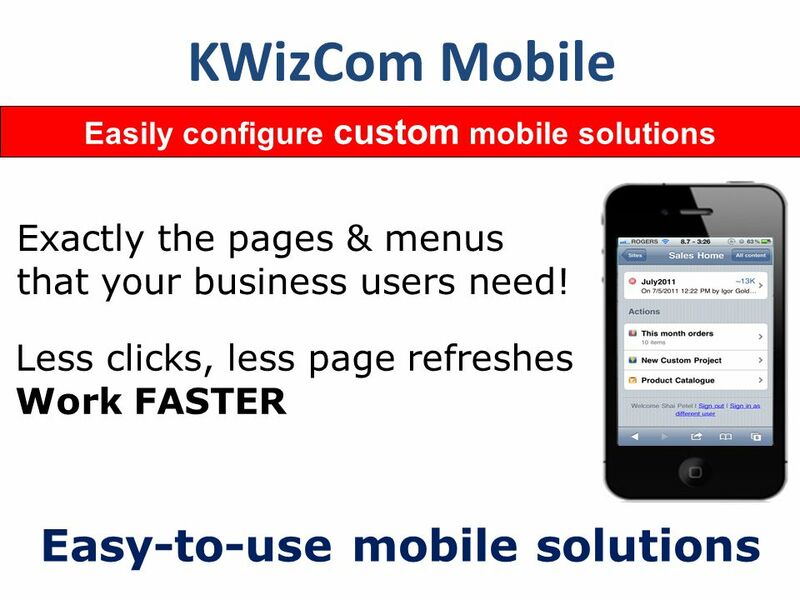 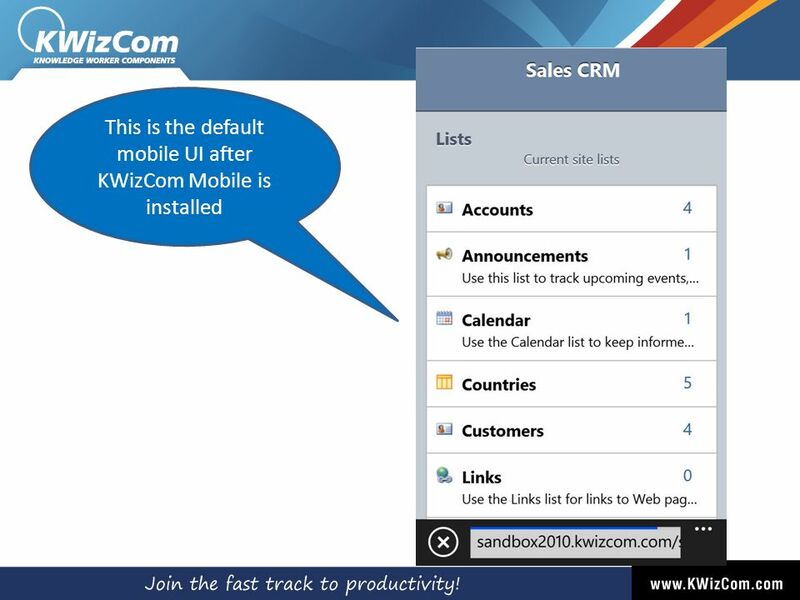 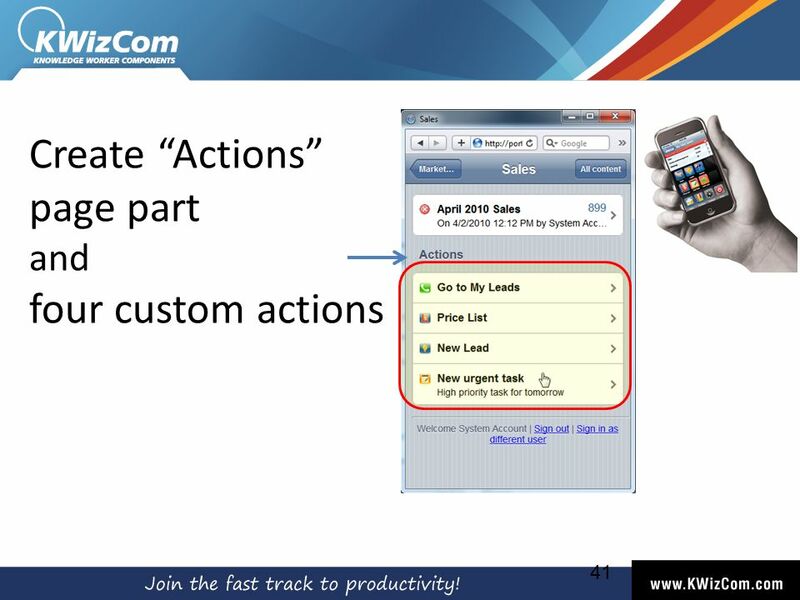 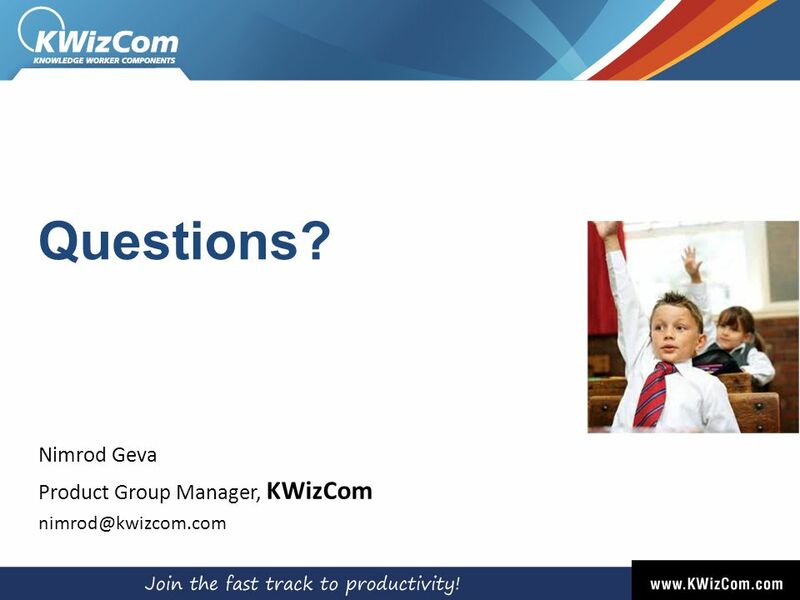 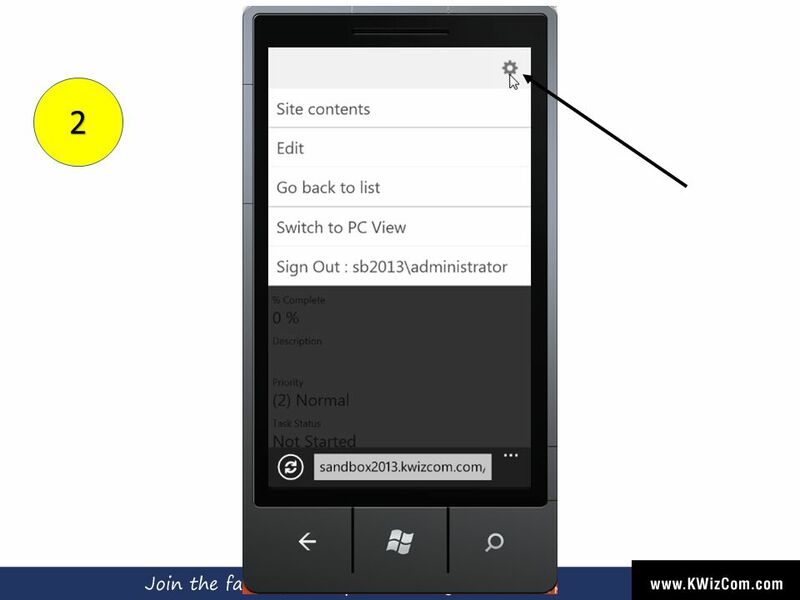 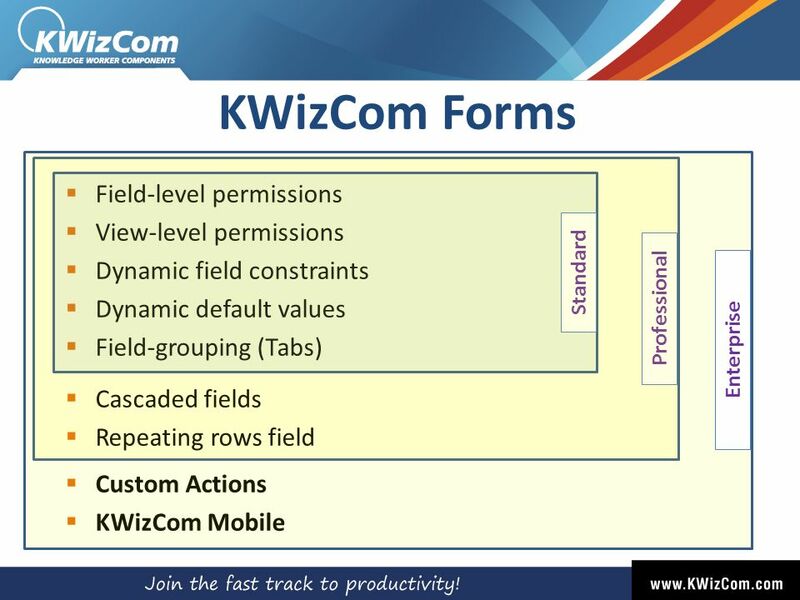 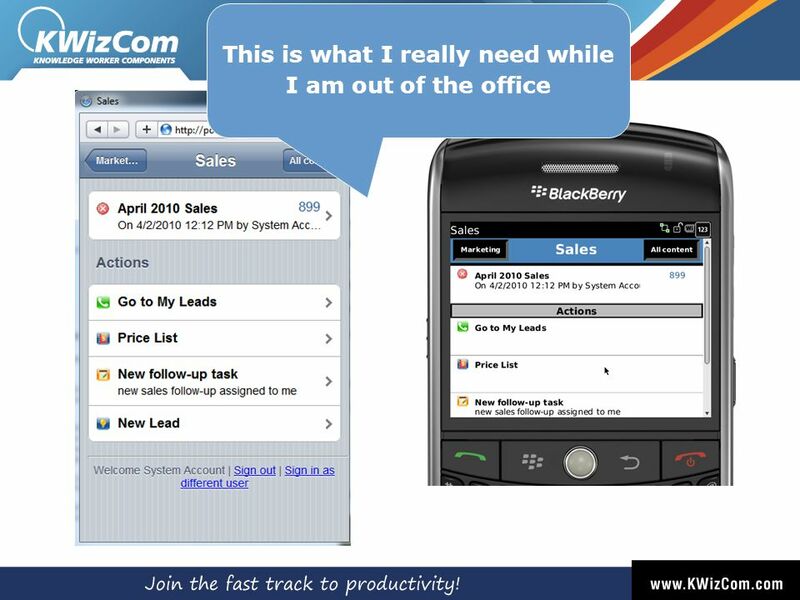 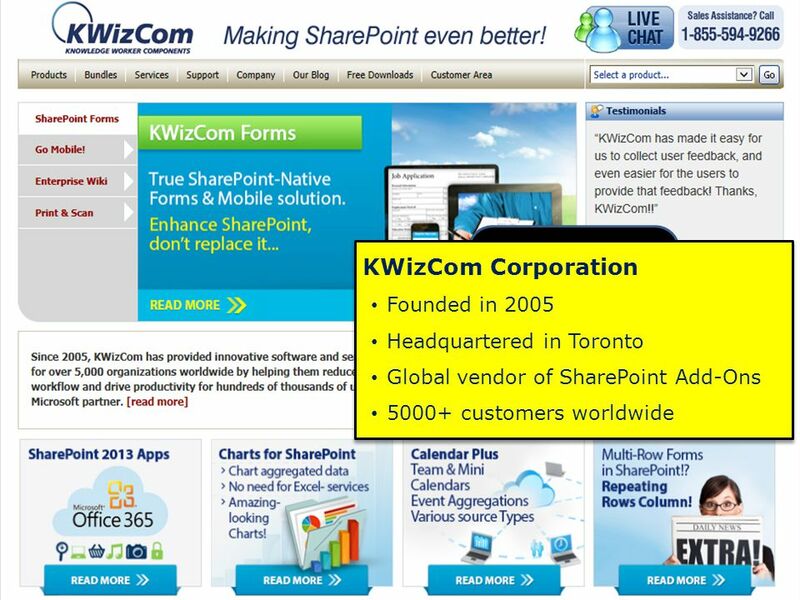 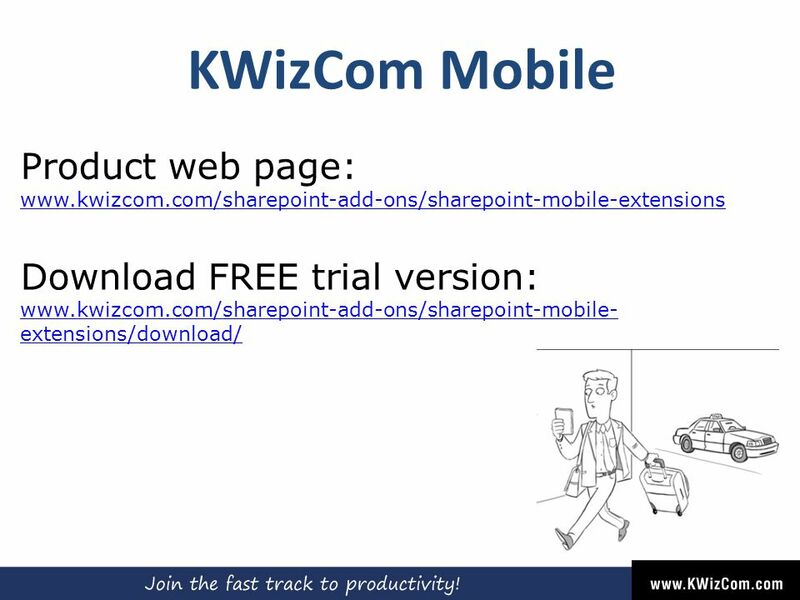 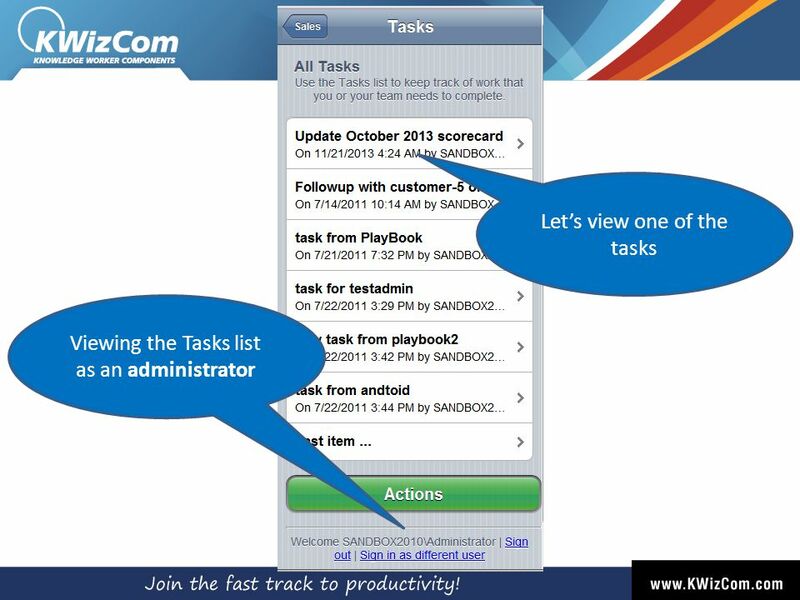 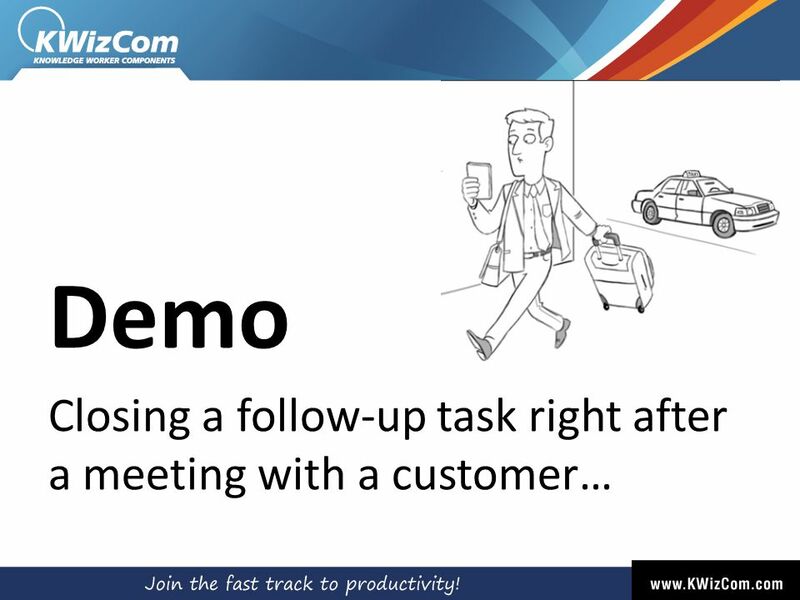 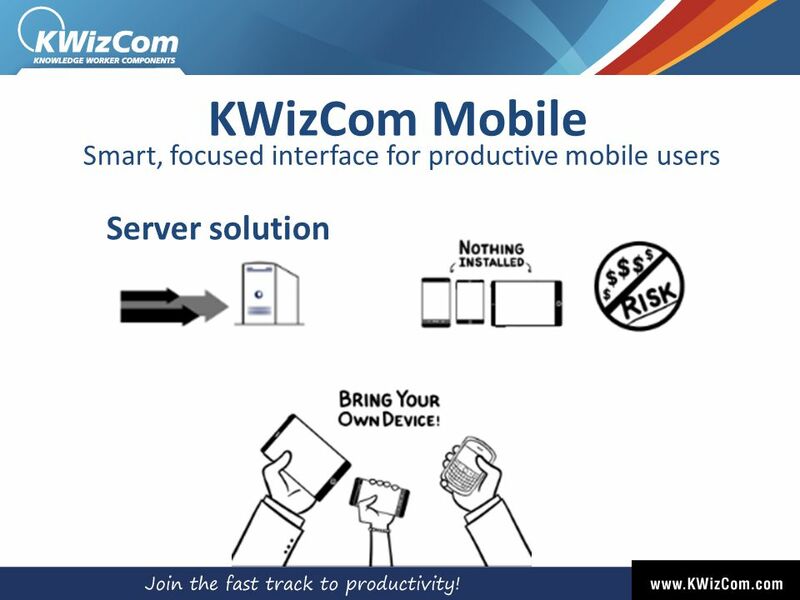 Download ppt "KWizCom Mobile Improving efficiency of the mobile workforce Anthony Pham Product Support Manager"
Office 2007 November 28, 2006 Sam Nasr Software Engineer Berbee Information Networks. 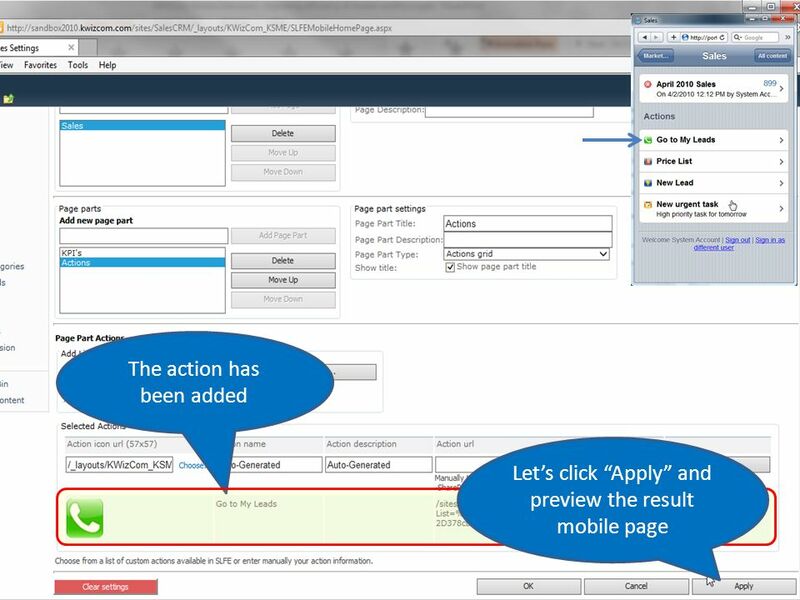 Gas Compliance System. 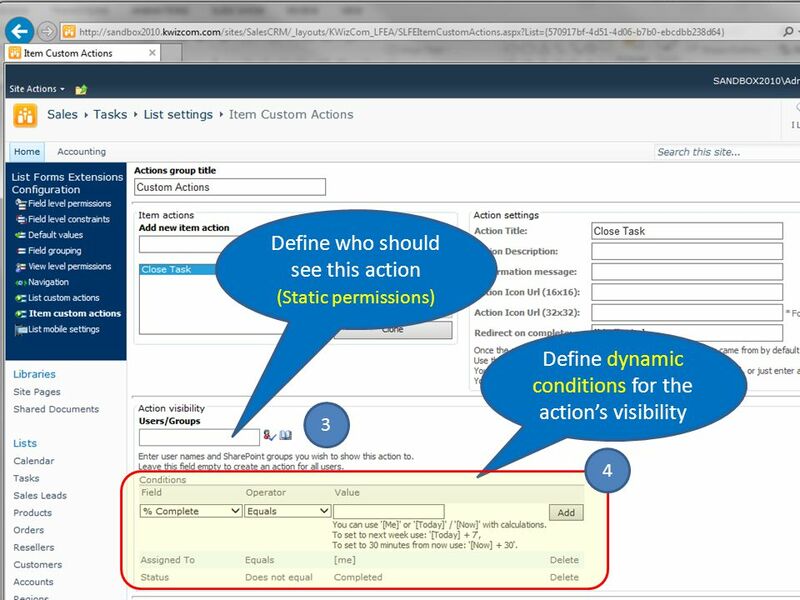 Based on DOT 192 requirements Non-Compliance Warnings MS Windows look and feel for the user Oracle database on the server Uses. 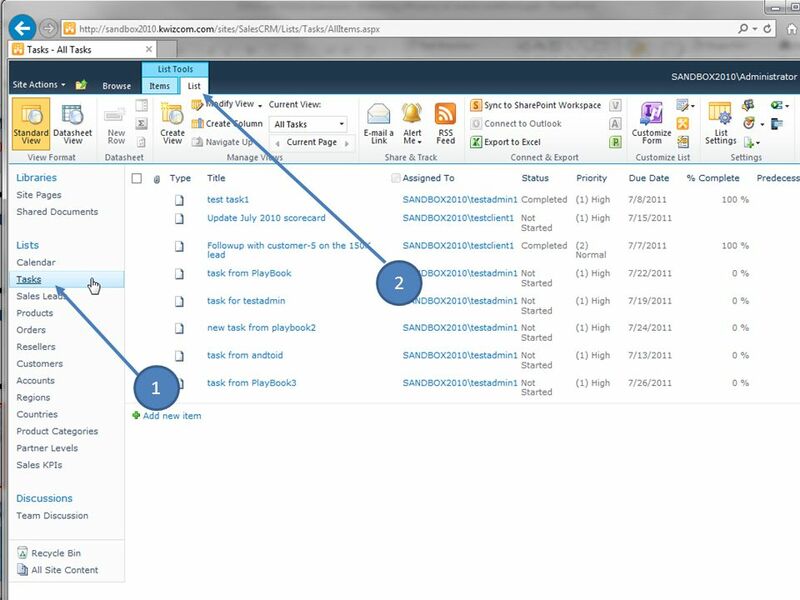 Getting Started with Microsoft Office 365. 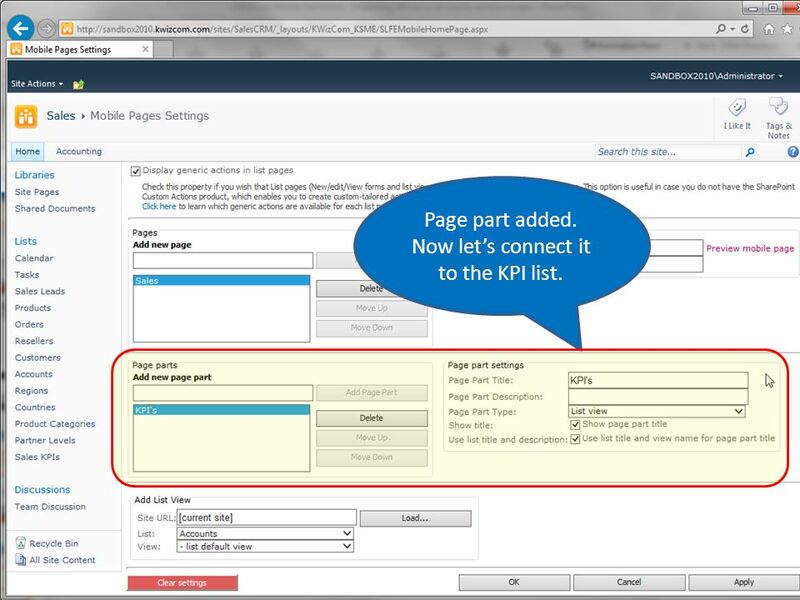 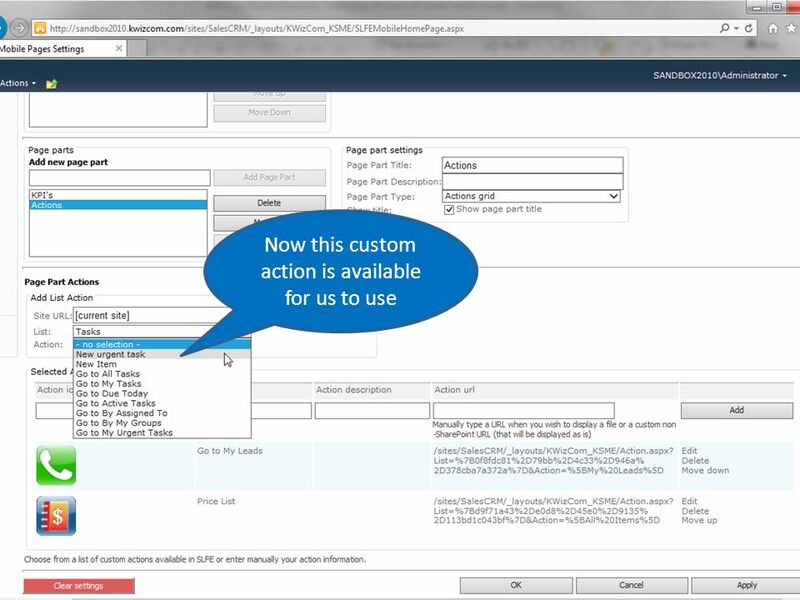 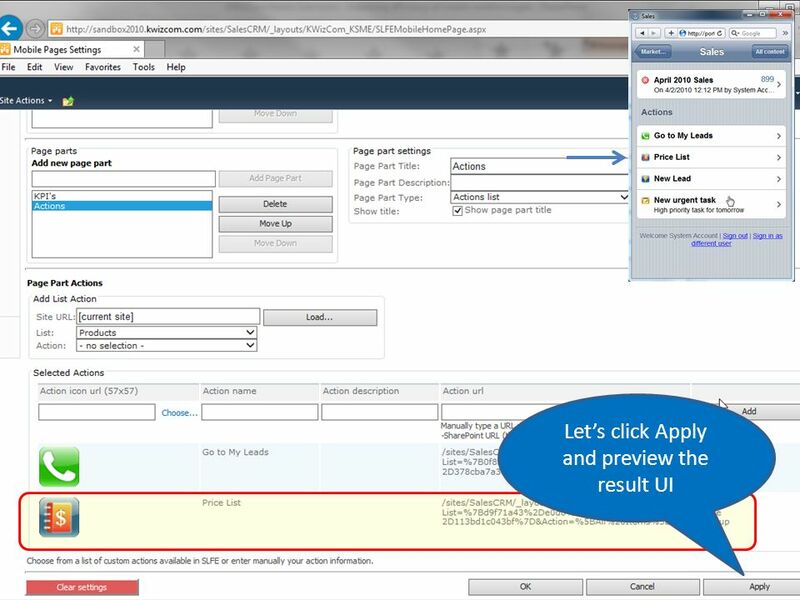 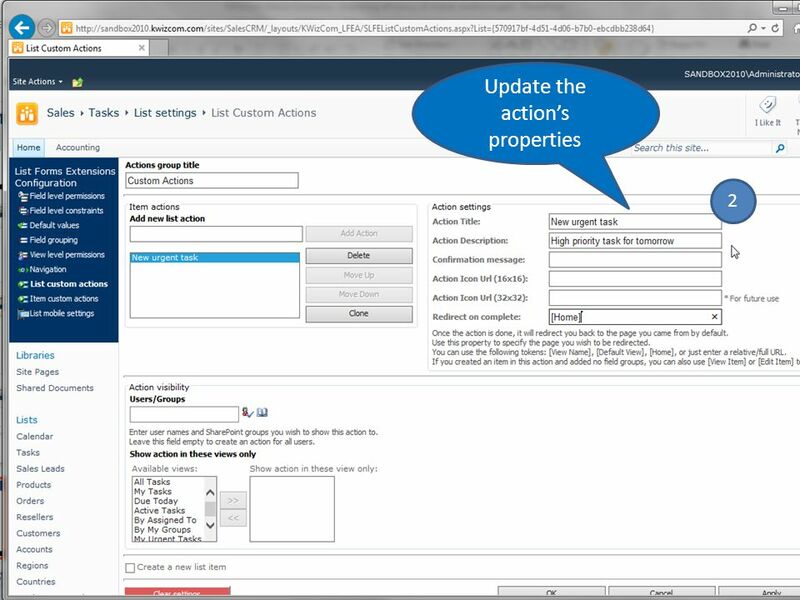 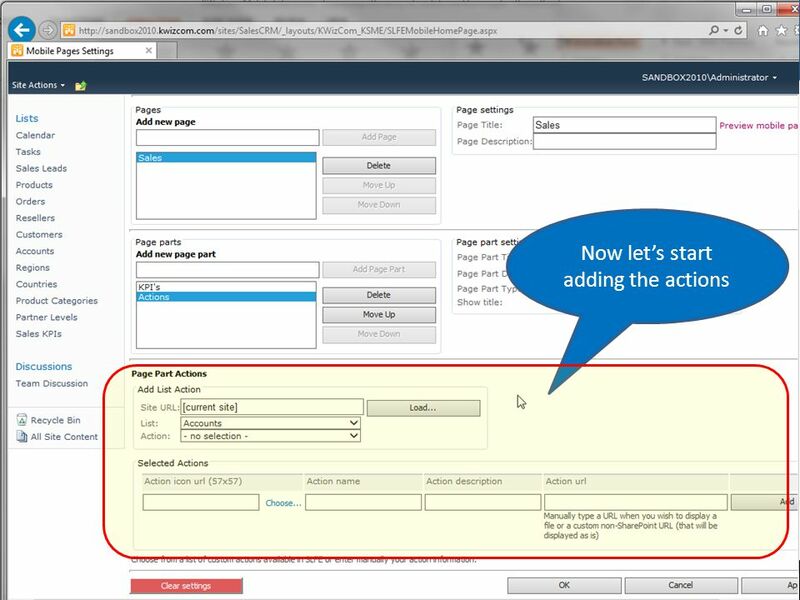 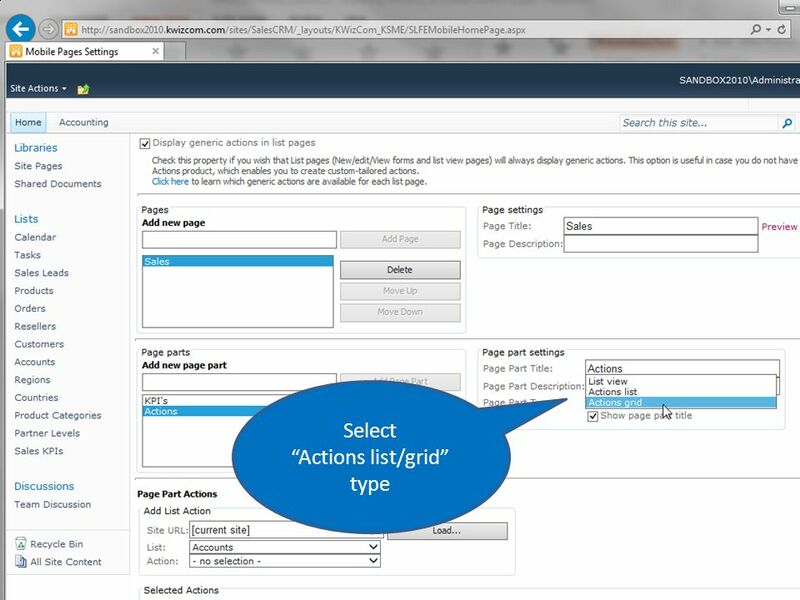 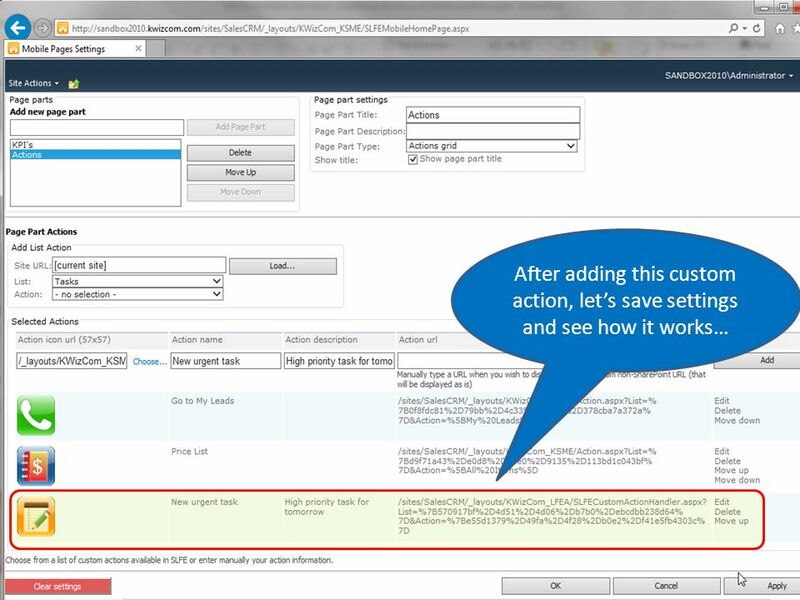 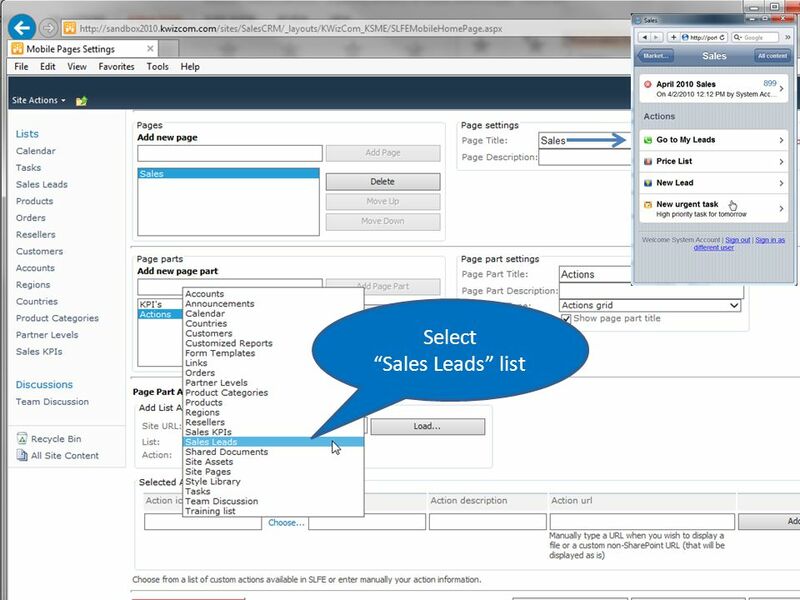 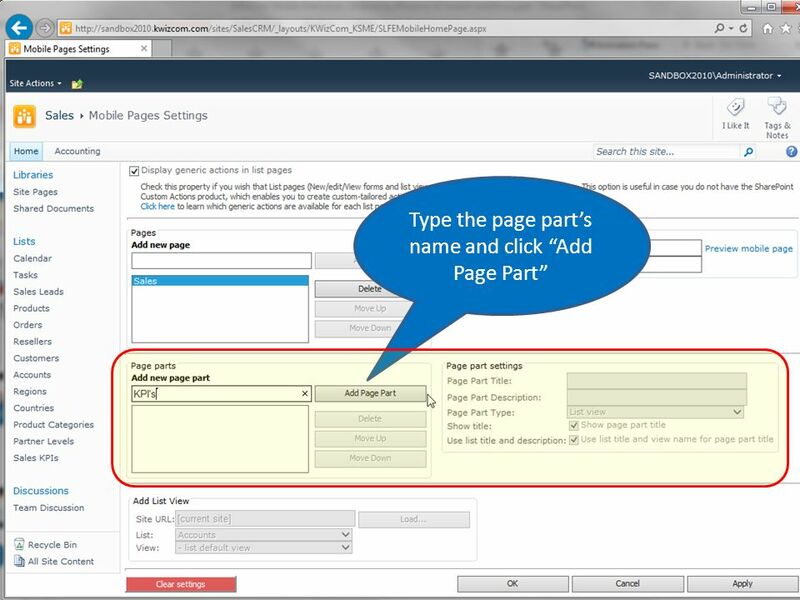 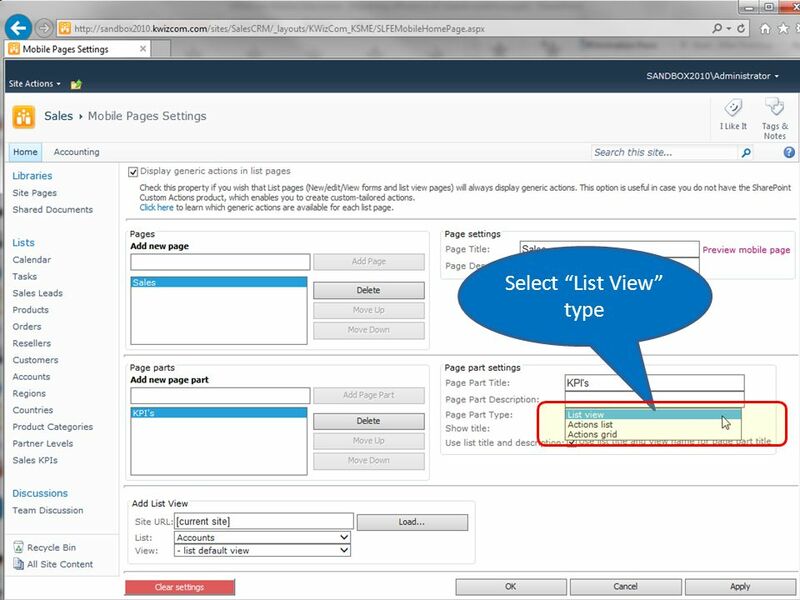 Getting Started - Overview How to use your existing desktop software to connect to Office 365. 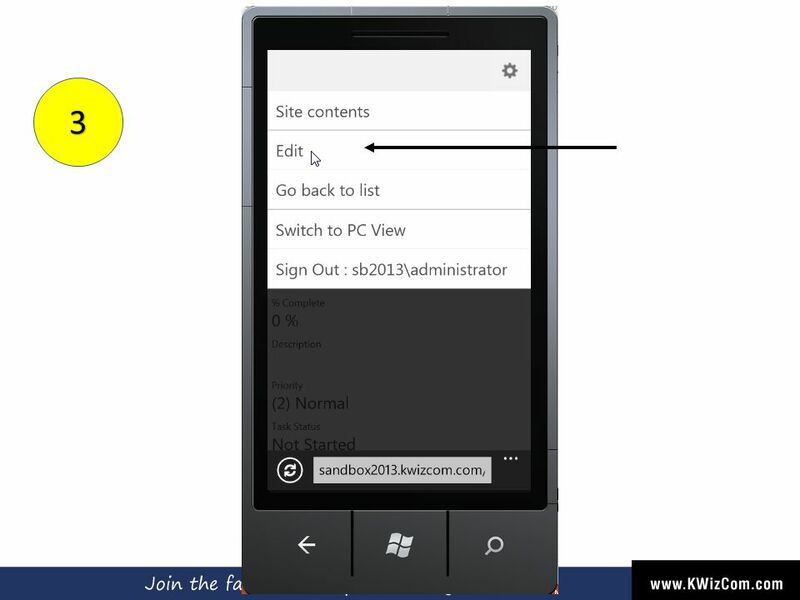 Install the. 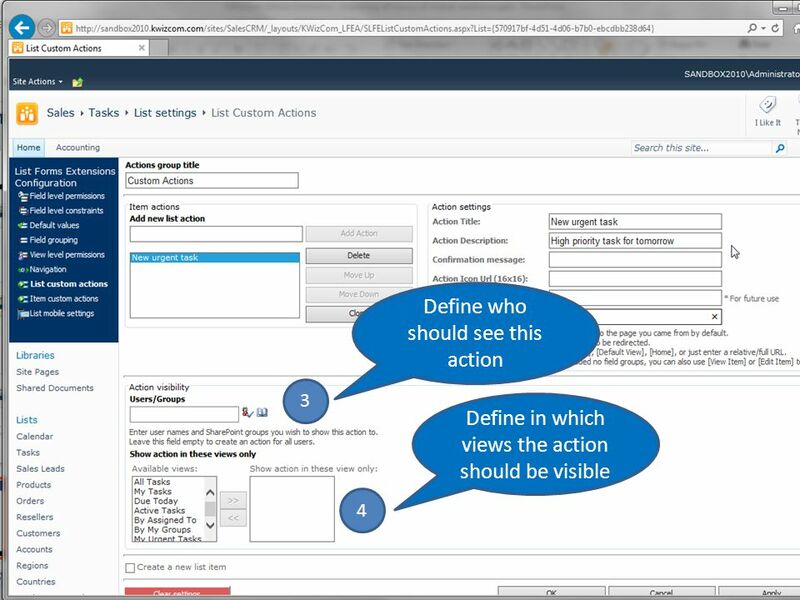 Getting the Most From Visual Basic 2005 Jay Roxe Lead Product Manager Visual Studio. 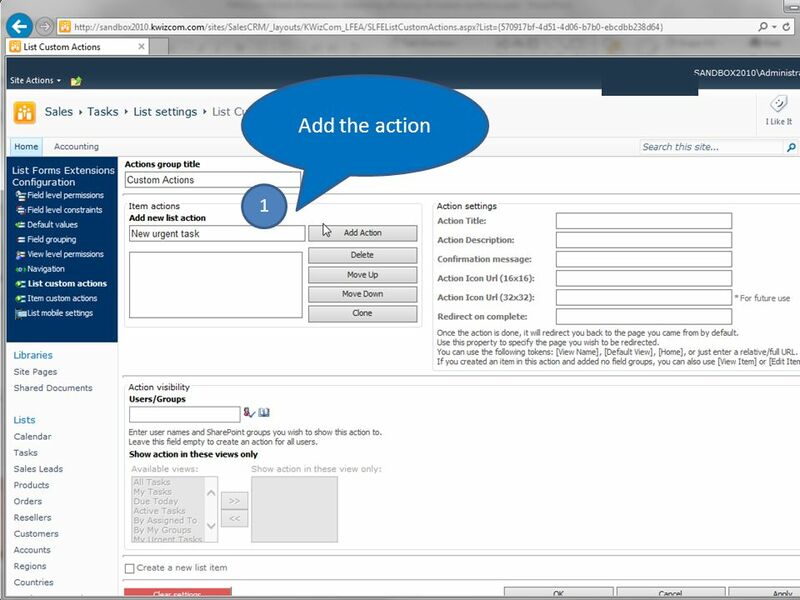 Tutorial EBSCOadmin User Groups support.ebsco.com. 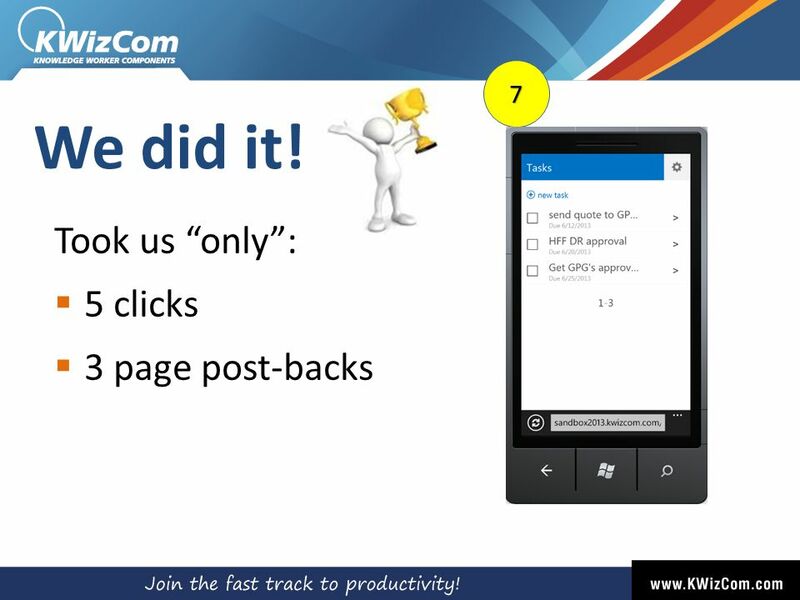 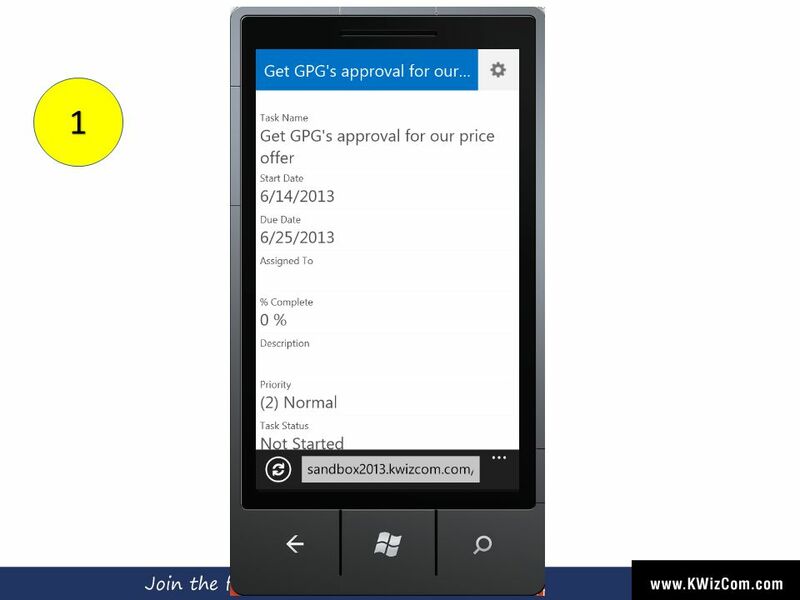 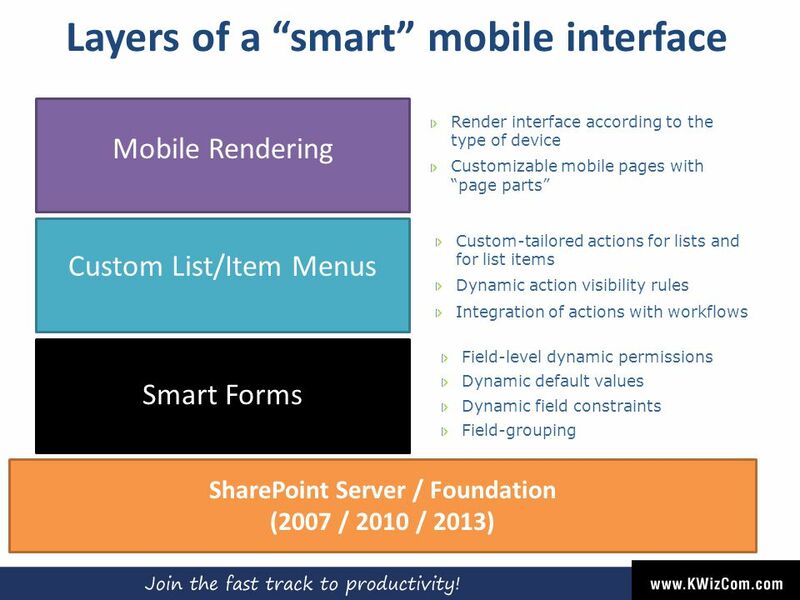 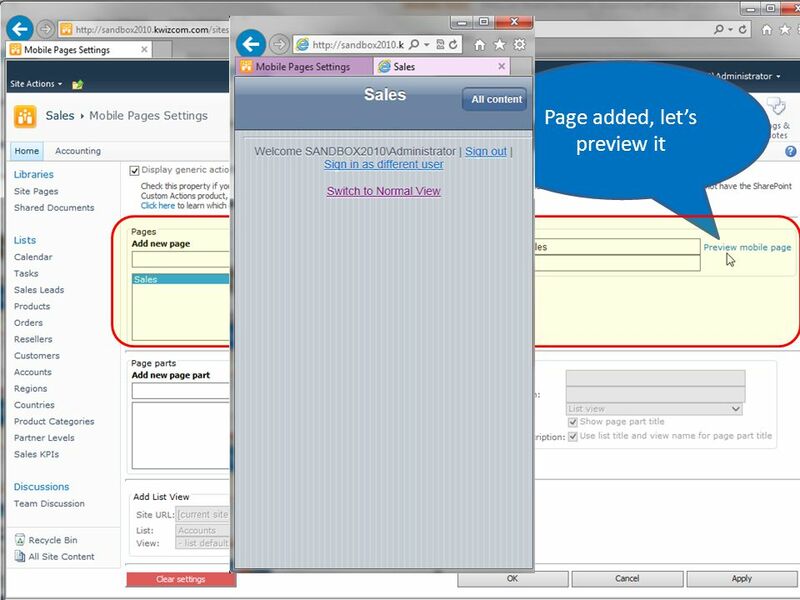 Kentico CMS 5.5 R2 What’s New. 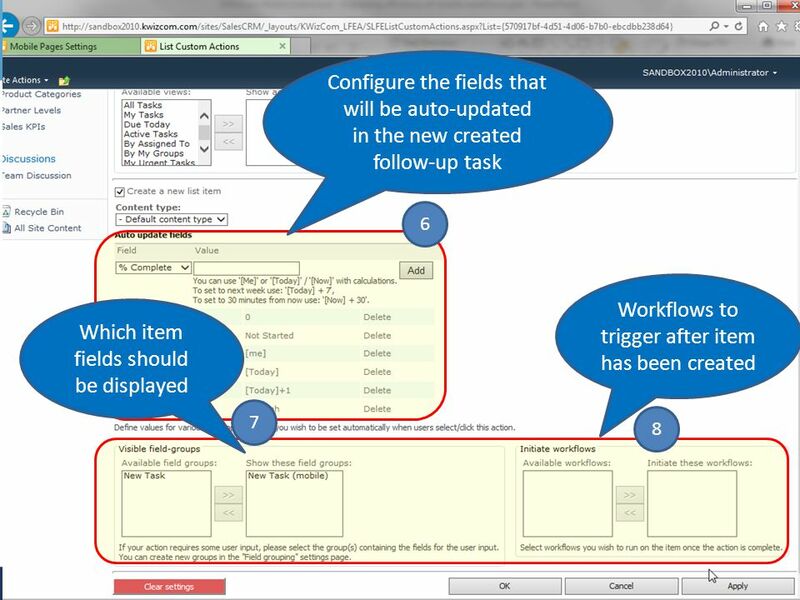 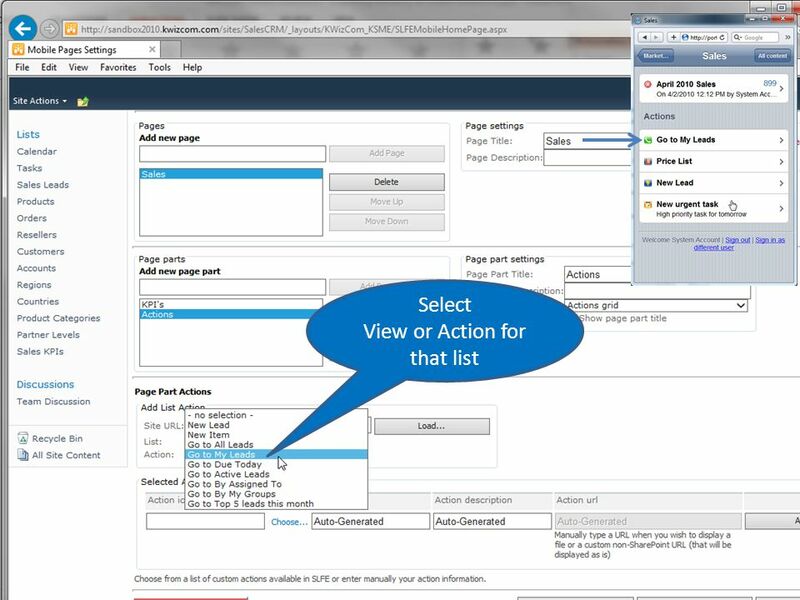 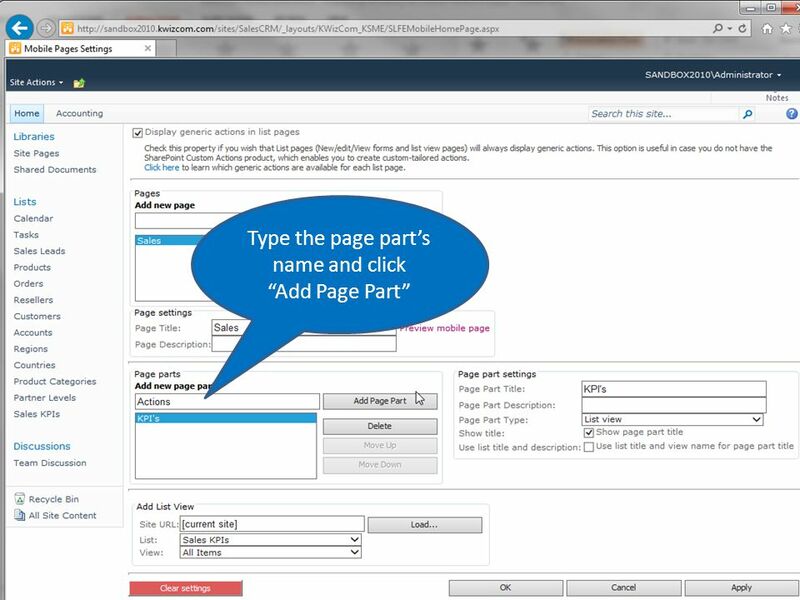 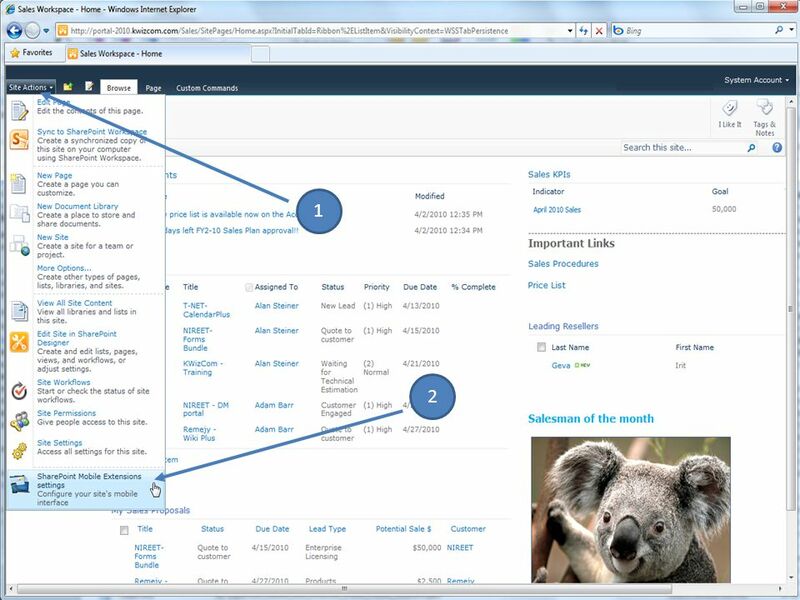 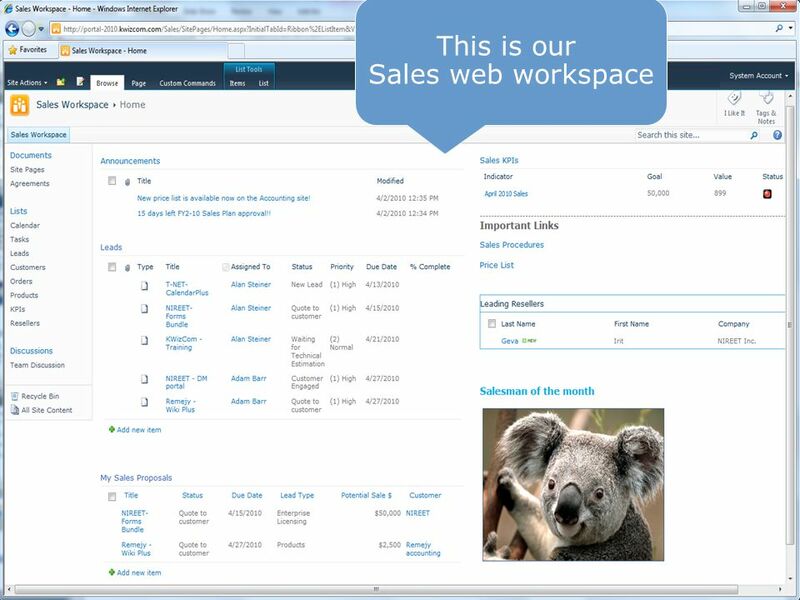 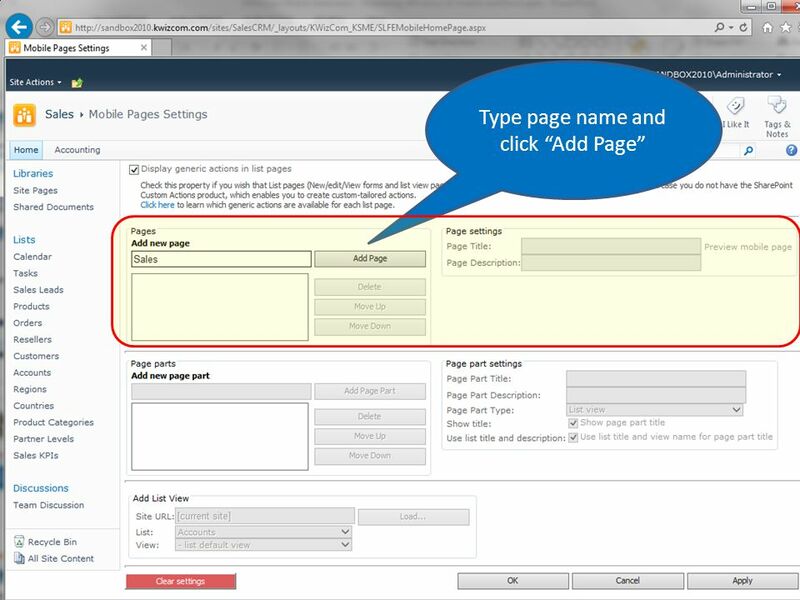 Highlights Intranet Solution Document management package – WebDAV support – Project & task management – Document libraries. 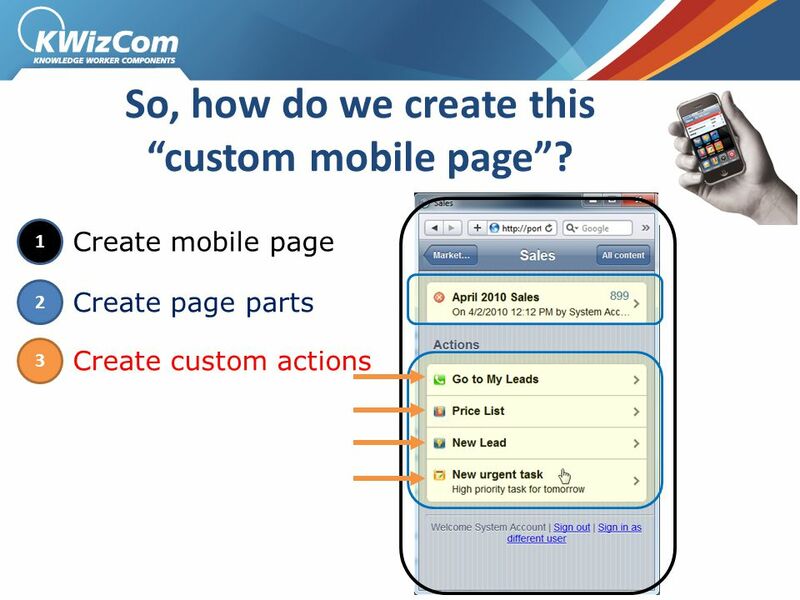 Customizing the MOSS 2007 Search Results November 2007 Rafael Perez.